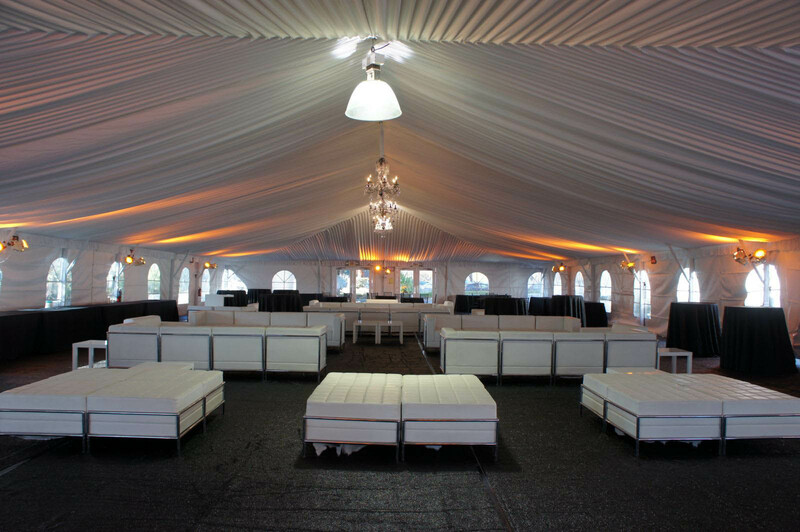 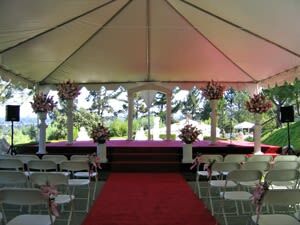 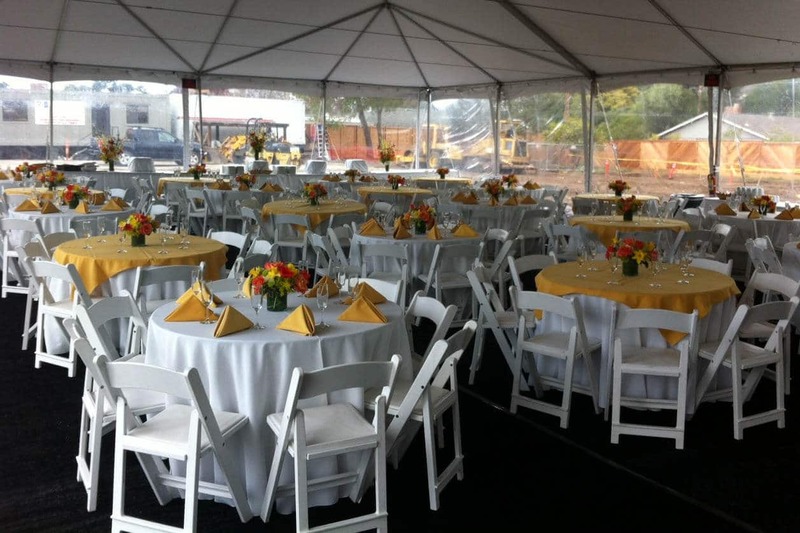 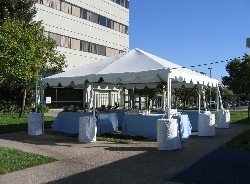 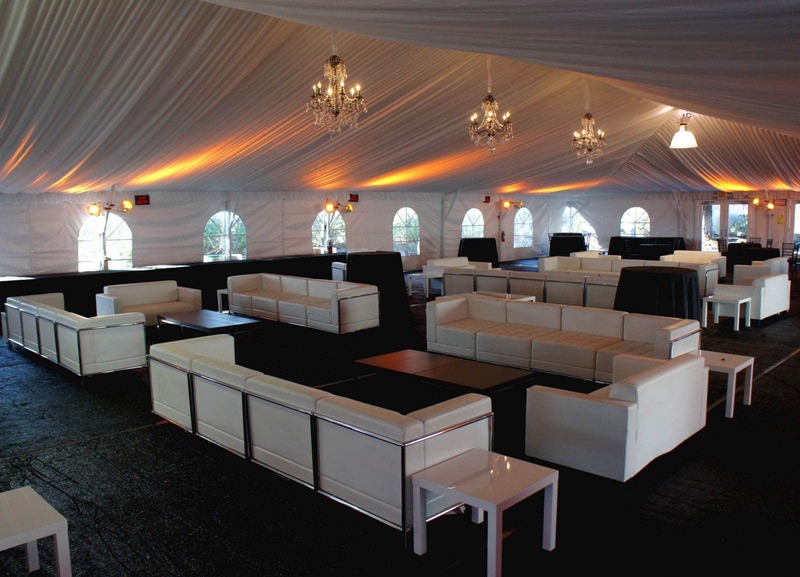 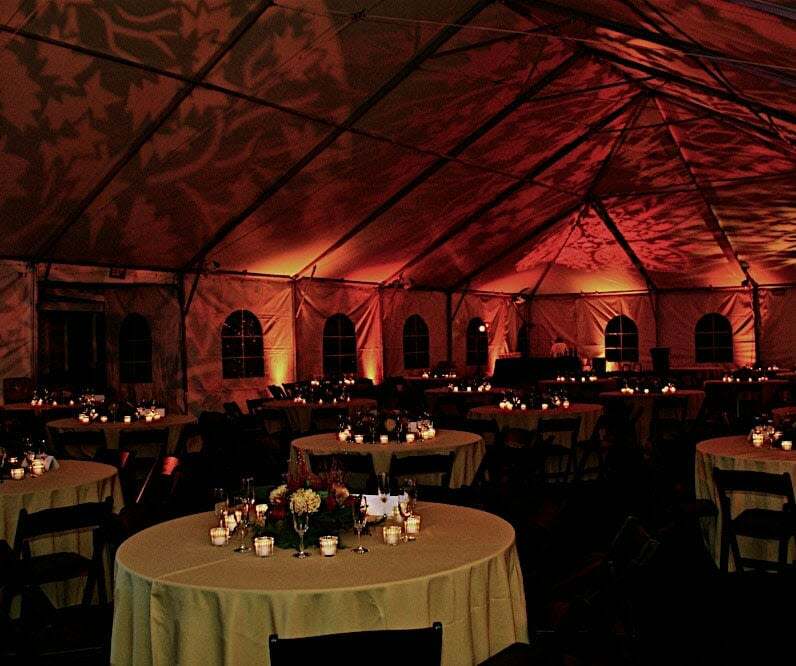 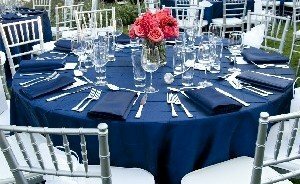 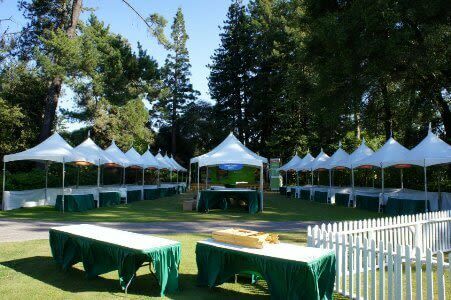 Whether you are planning a wedding, corporate event, gala, or general celebration, a tent rental is always a transformative component. 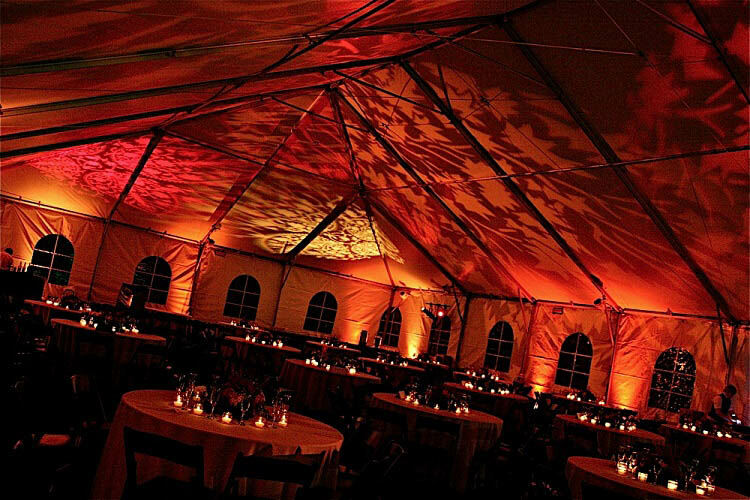 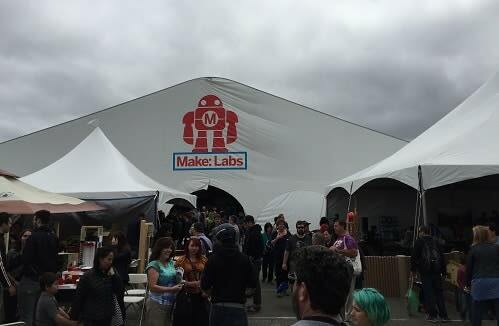 And while it’s common enough to see a well planned tent venue, the thought that goes behind the tent type and ceiling style selection often goes unappreciated. 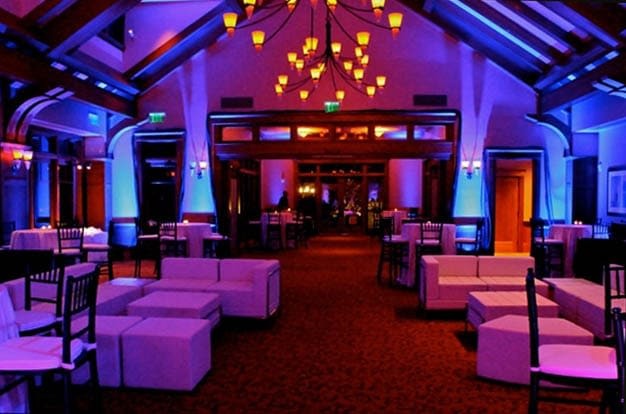 So, think to yourself, when your guests walk into your event and gaze up, what do you want them to see? 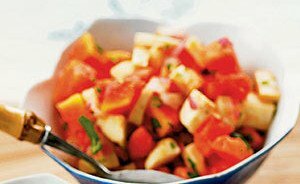 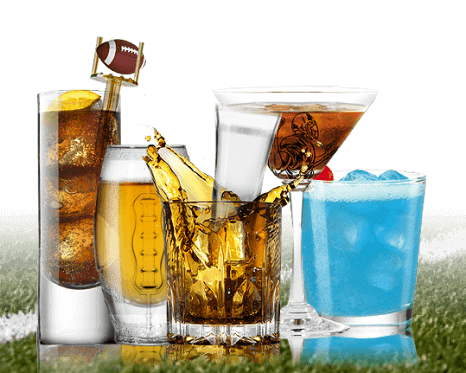 There are so many different options that promise to take breaths away. 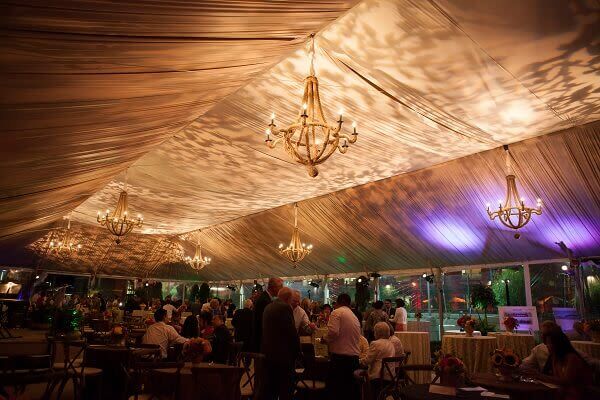 Pleated ceilings are a classic, elegant approach. 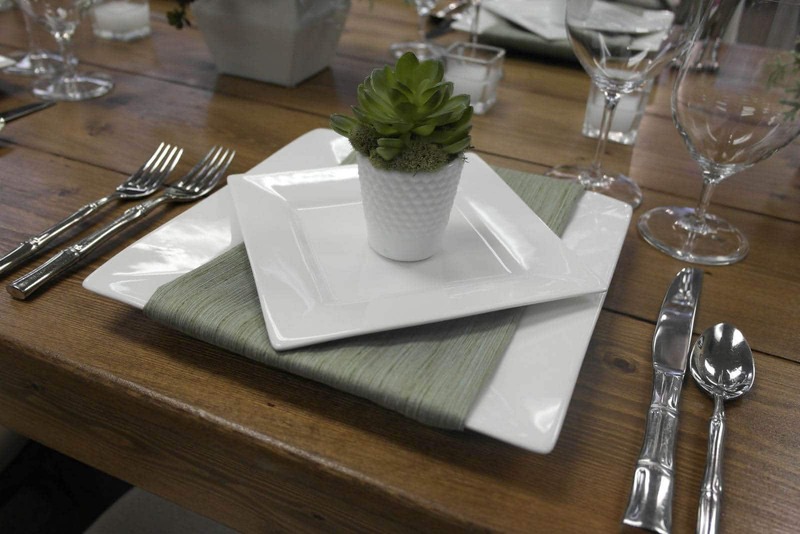 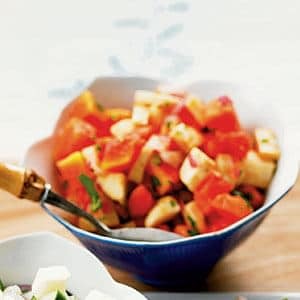 They provide a nice sense of structure and texture and are available in numerous colors. 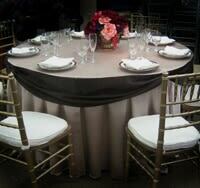 Pleats are incredibly versatile; an appropriate choice for upscale, professional, and casual affairs. 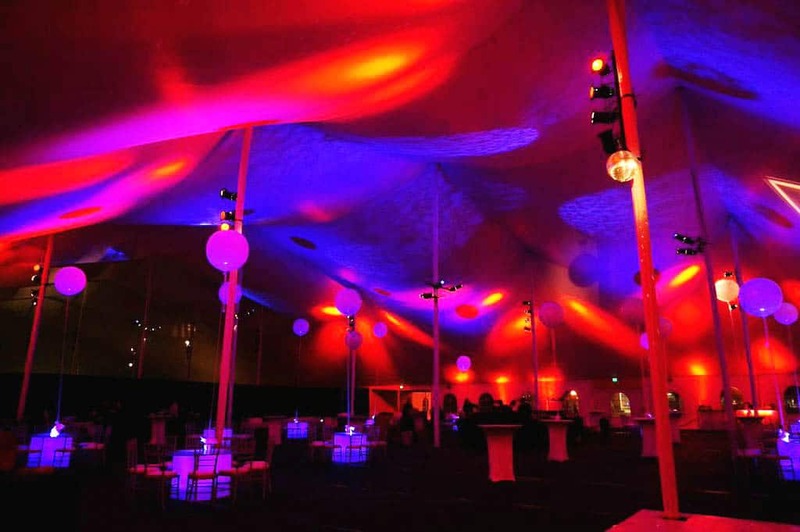 There are two types of pleated ceilings. 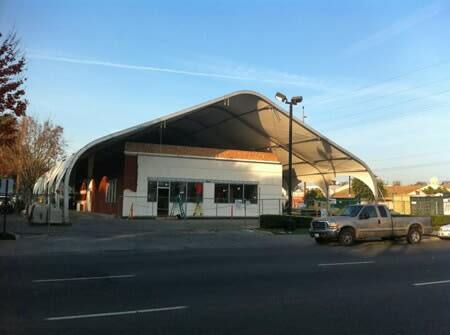 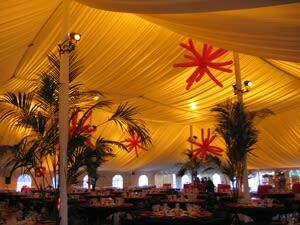 The first style, a pre-fab pleat, is a tent liner which is already pre-sewn. 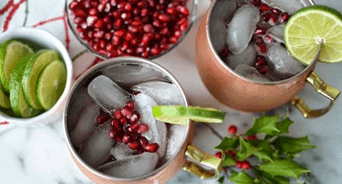 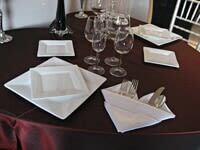 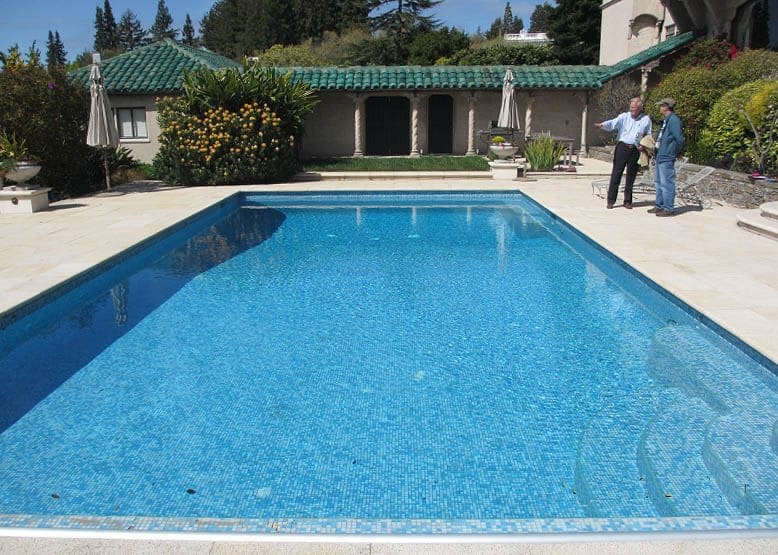 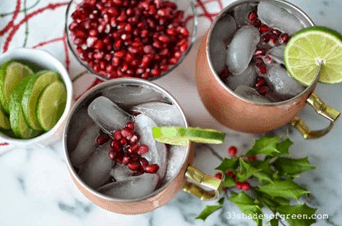 These liners allow for a quick installation as well as an elegant look. 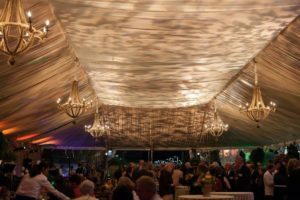 The second, a pleated fabric ceiling liner, is manually installed with rolls of fabric in a pleated fashion, which requires more time. 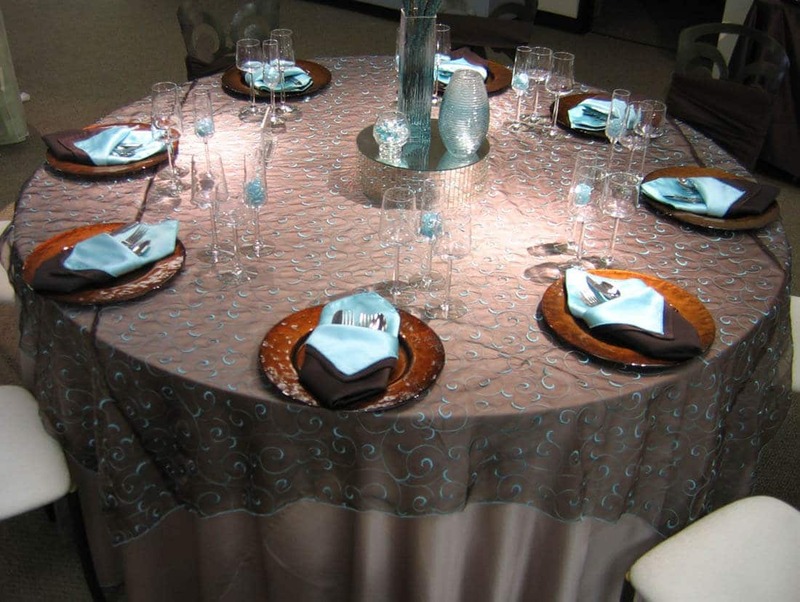 With the non pre-fab liner, you have more freedom to customize your look, whether it is the width of your pleats or the color and fabric you want. 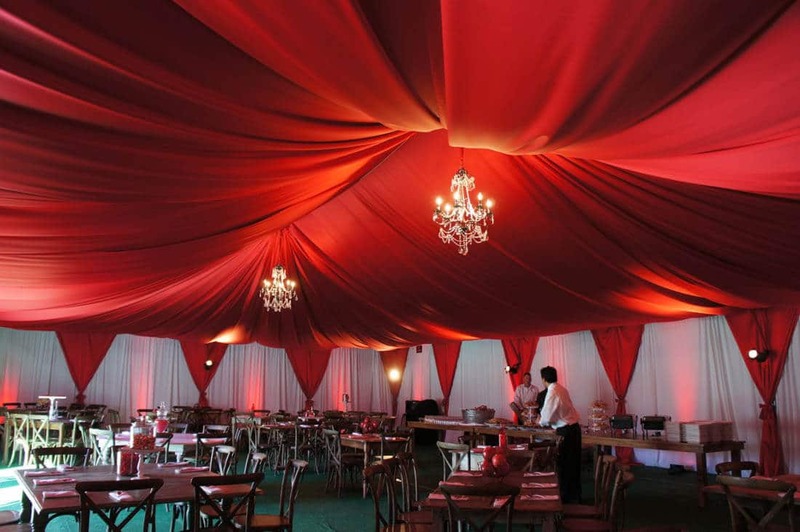 Some examples are a rich colored lamour with wider pleats (red lamour ceiling liner pictured below) or an airier organza with narrower pleats (blue chiffon pleated ceiling below). 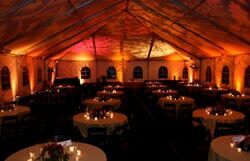 Swagging: Swagging is a commonly favored ceiling style. 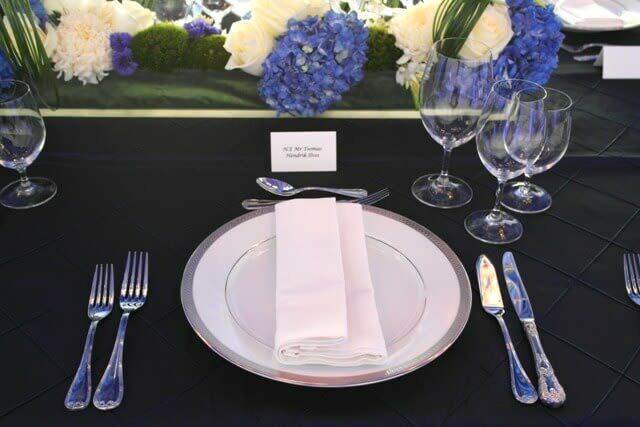 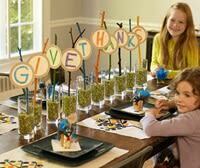 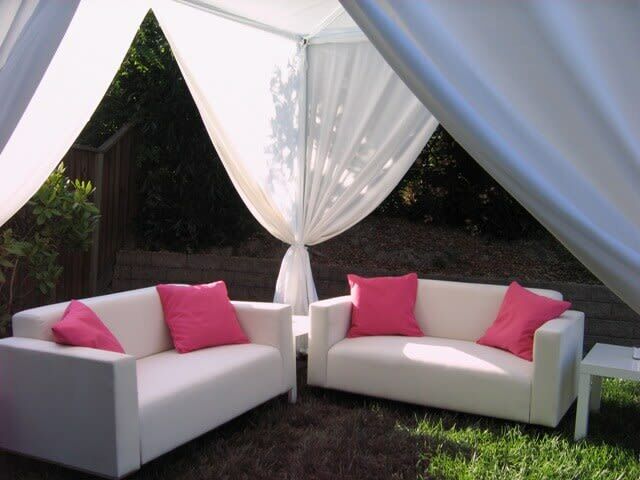 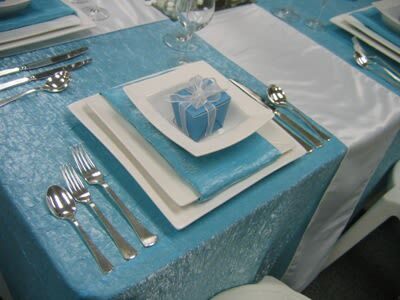 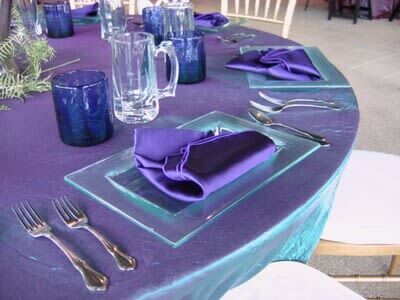 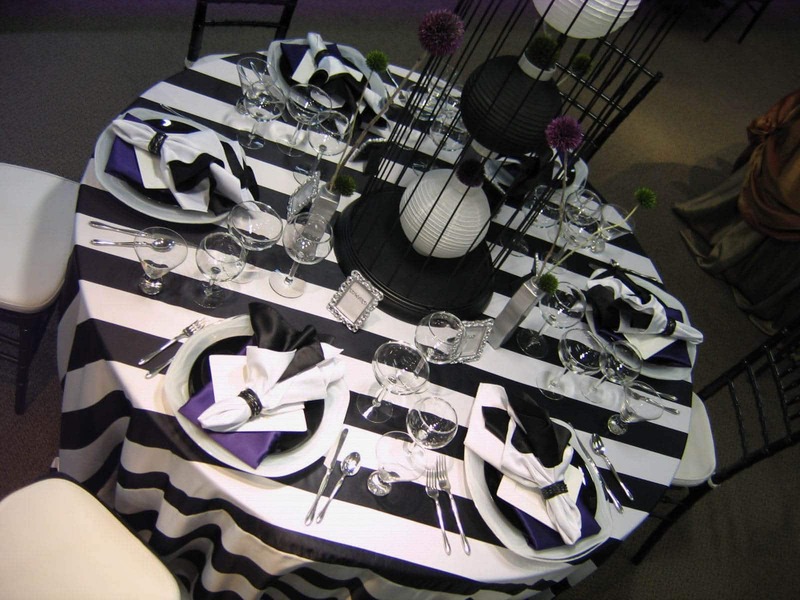 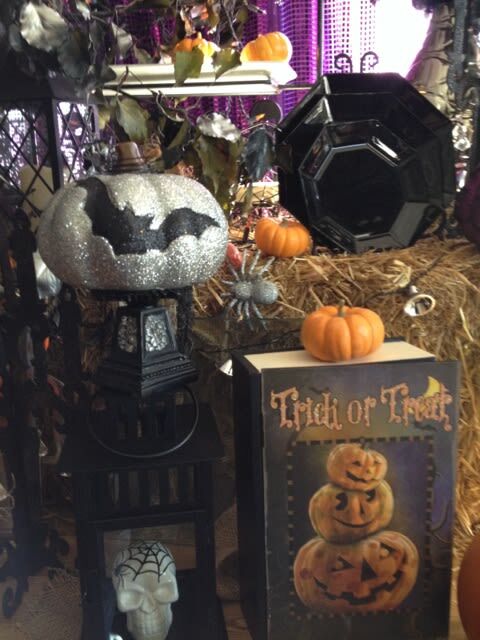 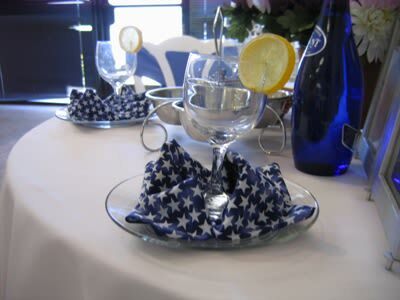 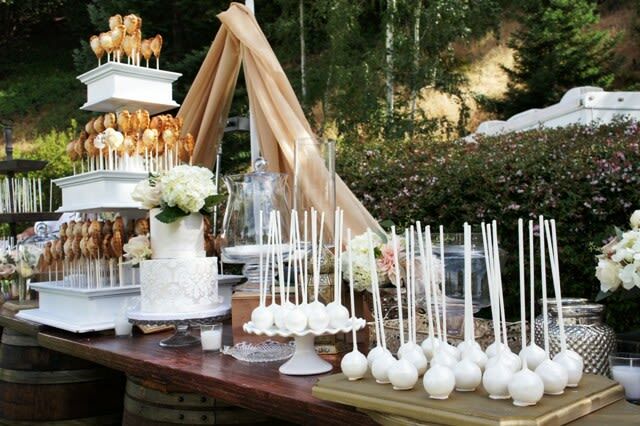 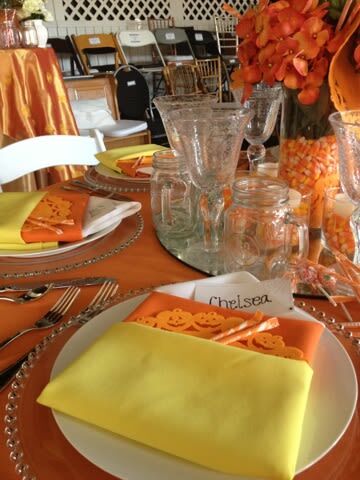 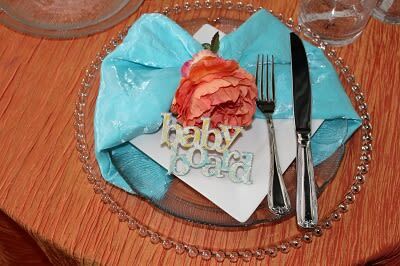 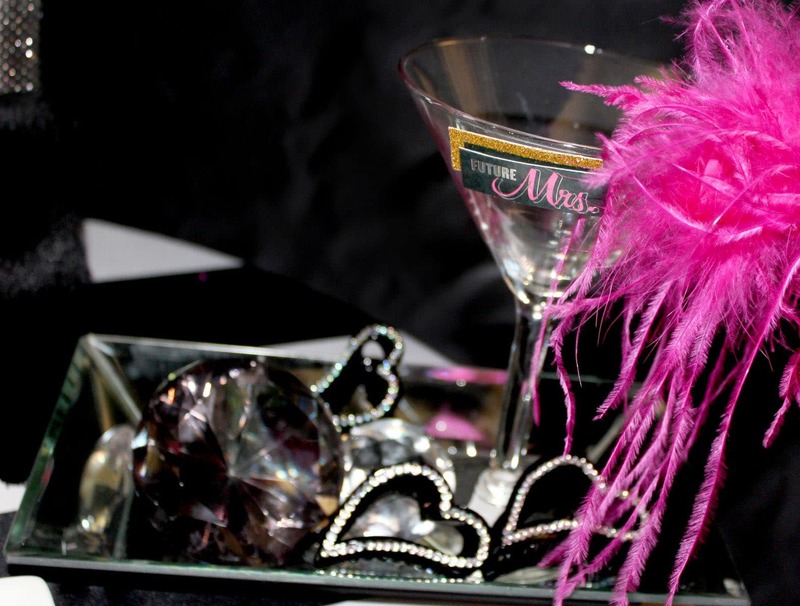 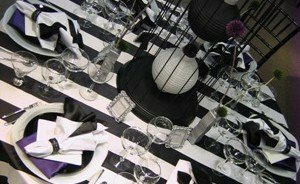 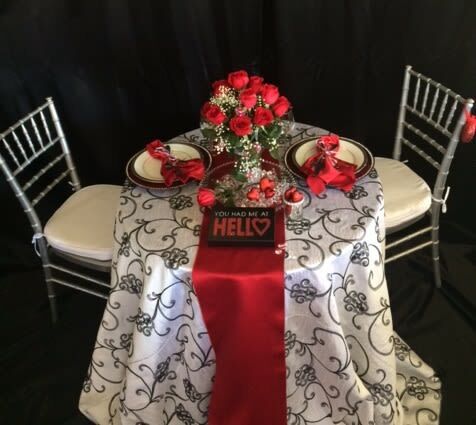 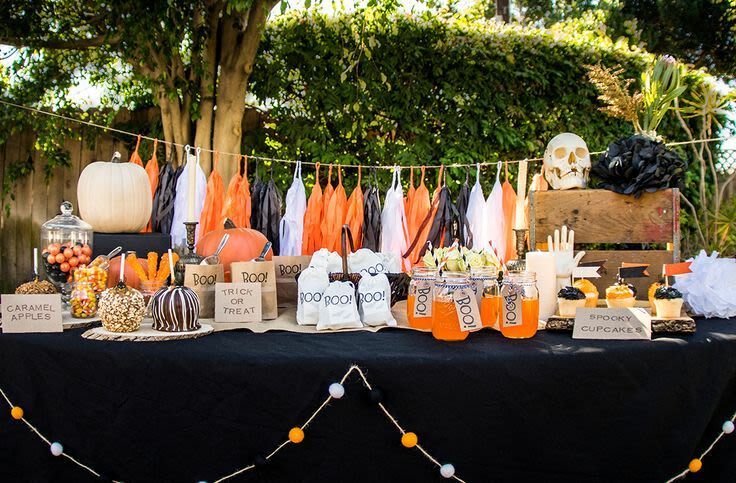 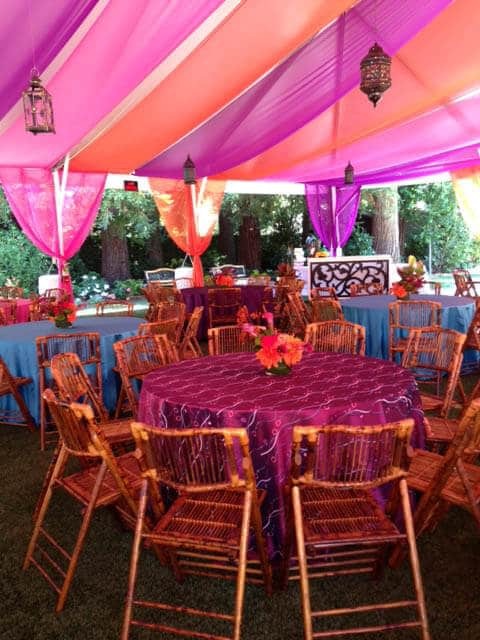 Swags can be personalized by shade and material, to best suit the theme of an event. 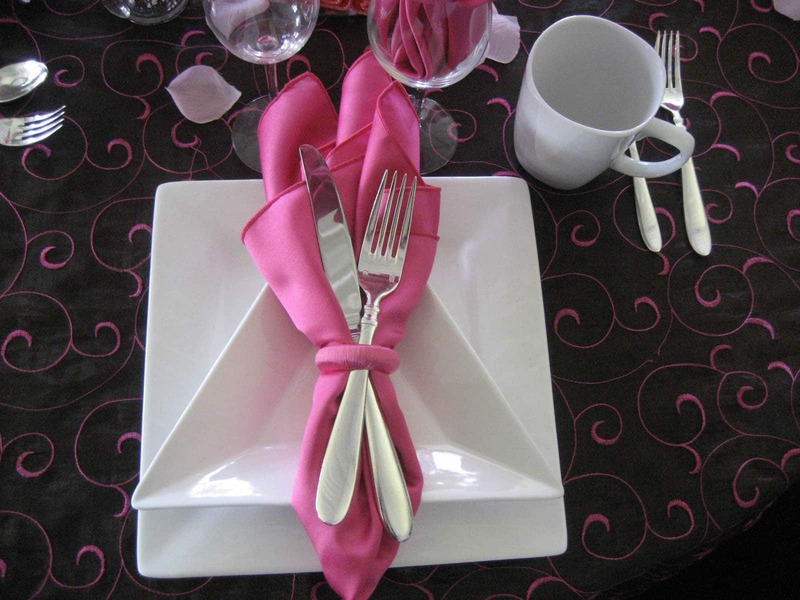 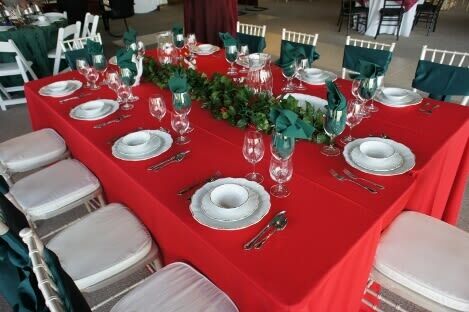 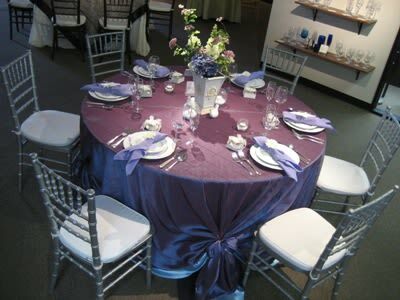 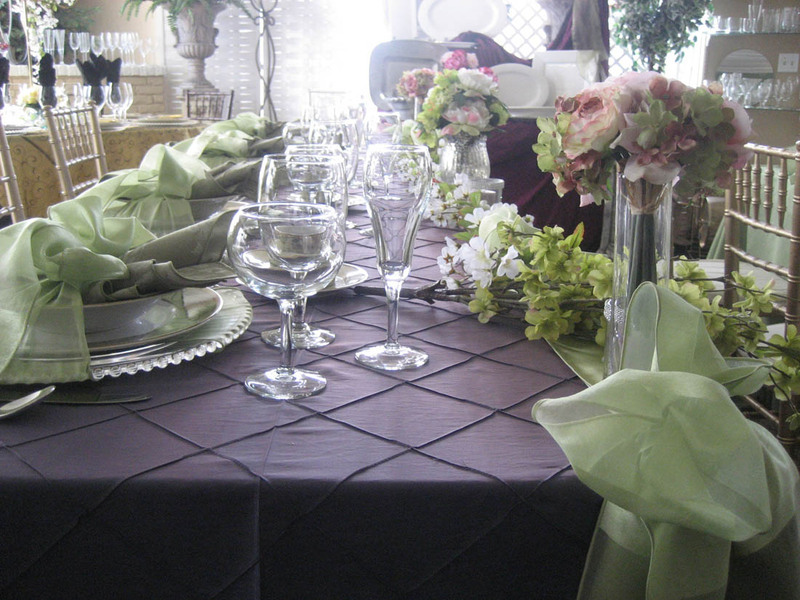 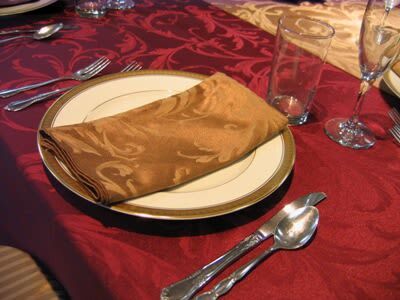 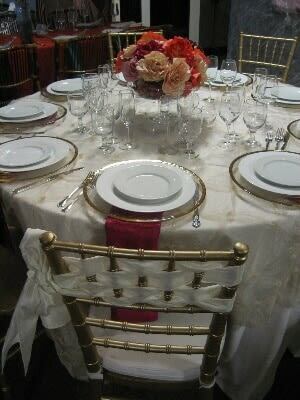 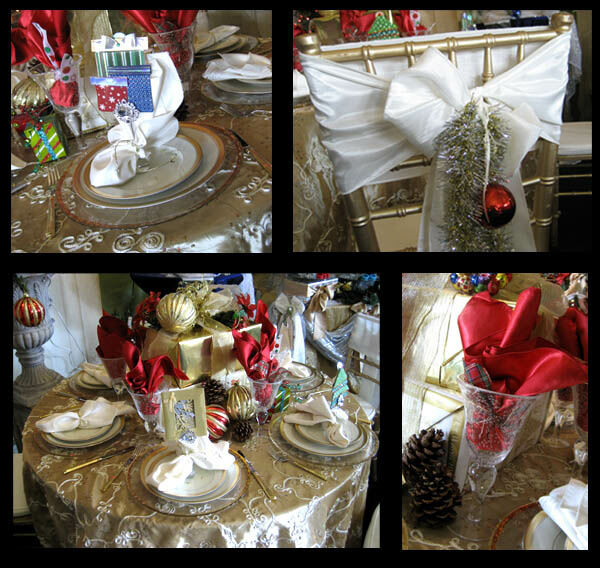 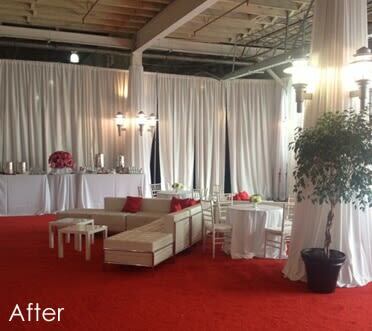 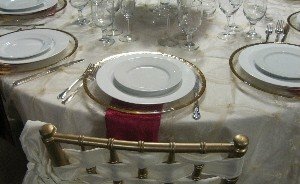 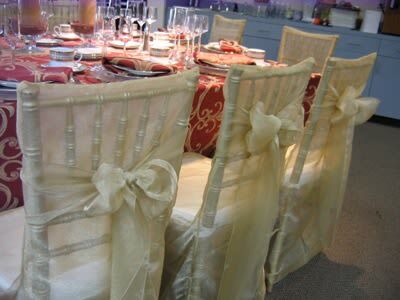 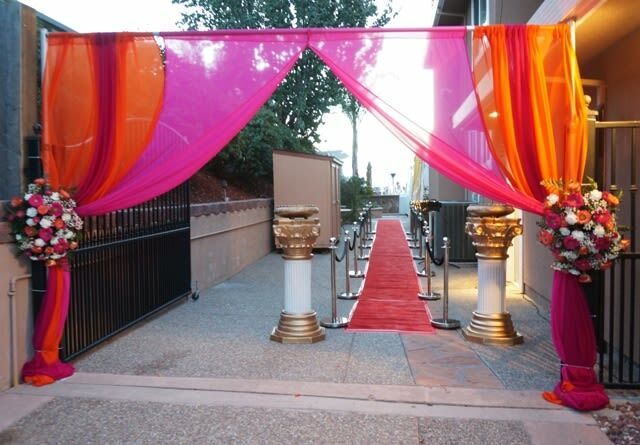 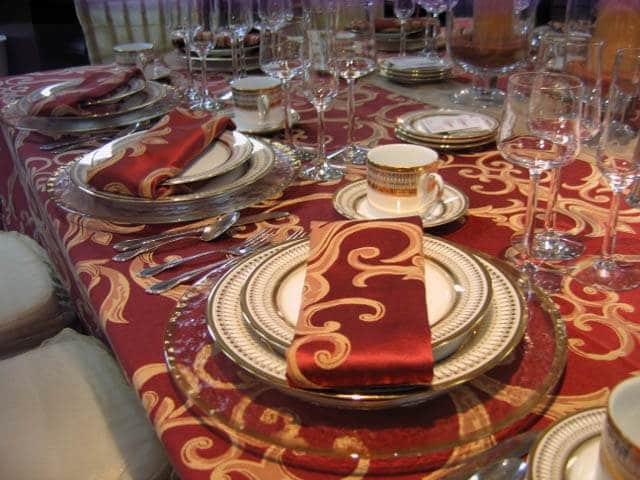 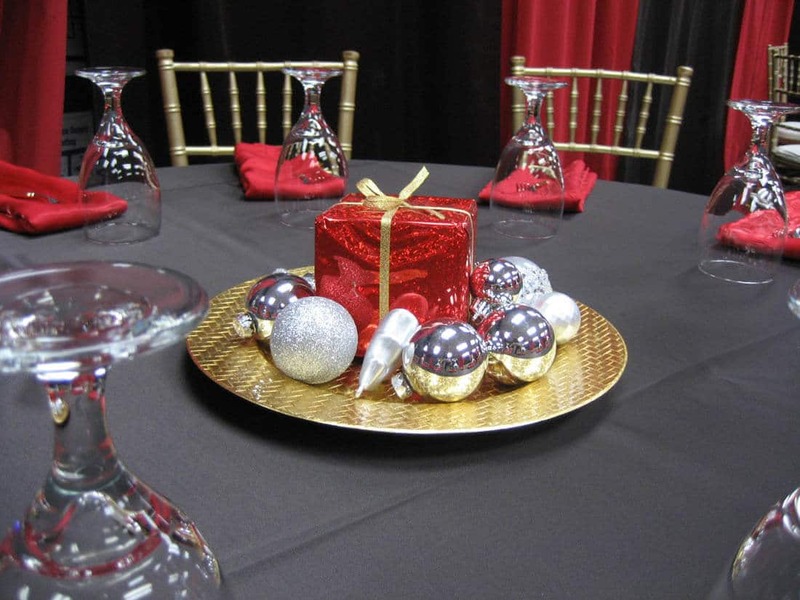 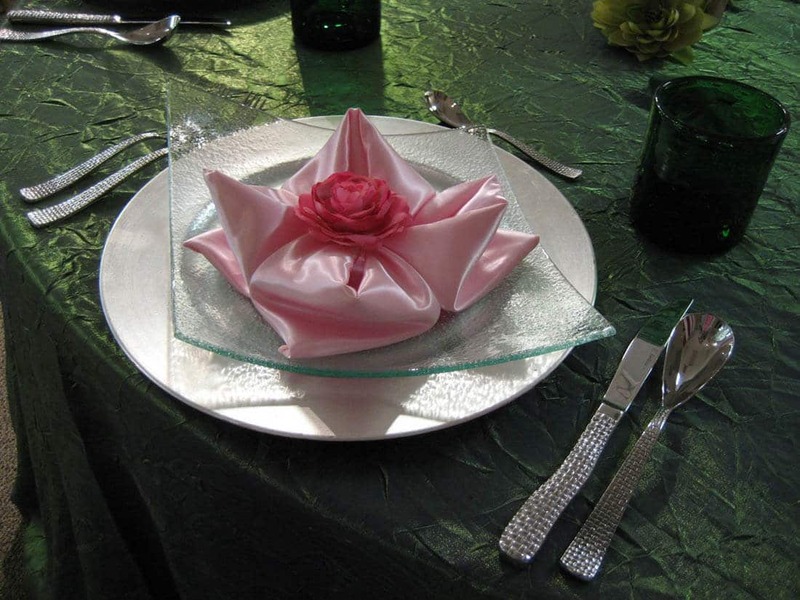 They can range from light chiffon swags for a wedding, to thick crimson drapes for a gala. 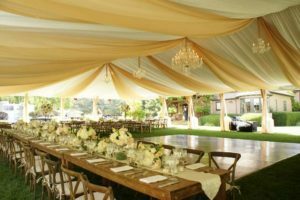 Shown below is a ceiling swagged with sand-colored strips of chiffon fabric, installed under a white pre-fab ceiling liner. 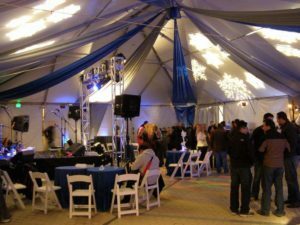 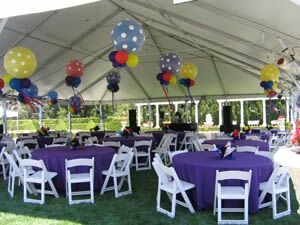 Swagging can also be used against basic frame tent ceilings to introduce colors themes or hang between custom lighting fixtures. 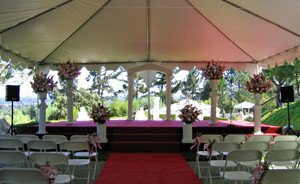 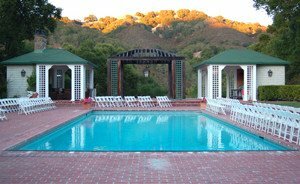 Open Top Tents: Partial swagged open top tents are another option which permits a gorgeous view of the tent’s surroundings. 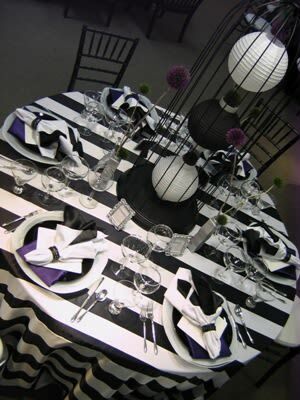 The partial swagging maintains a sense of structure while also contributing its colors to the theme of the function. 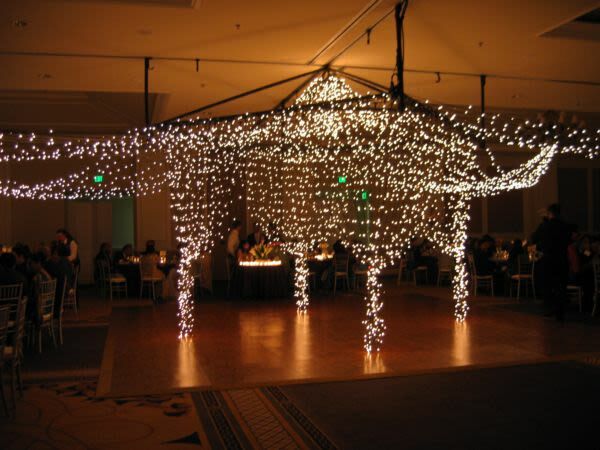 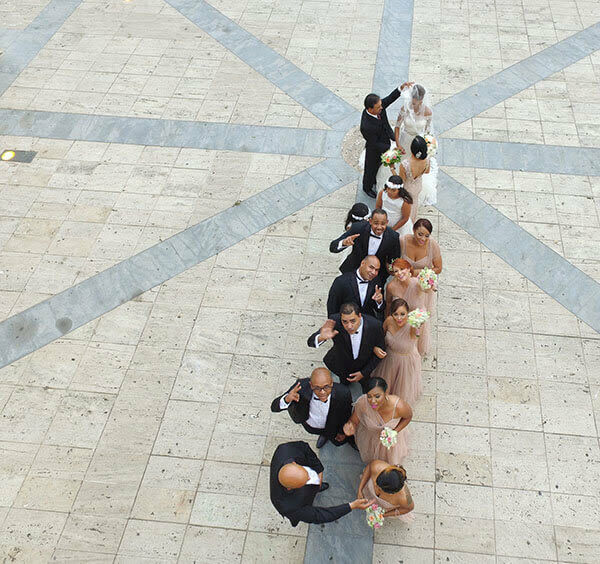 Summer and spring are optimal times to implement this ceiling style, as there are fewer chances of encountering poor weather. 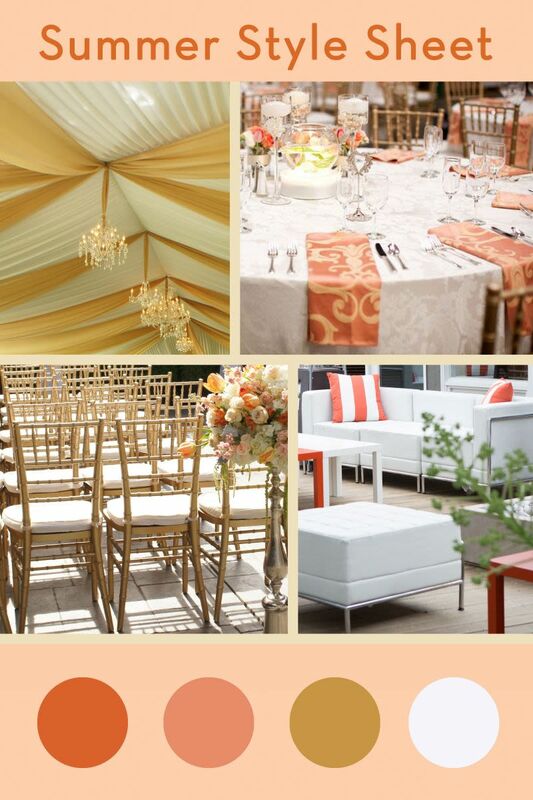 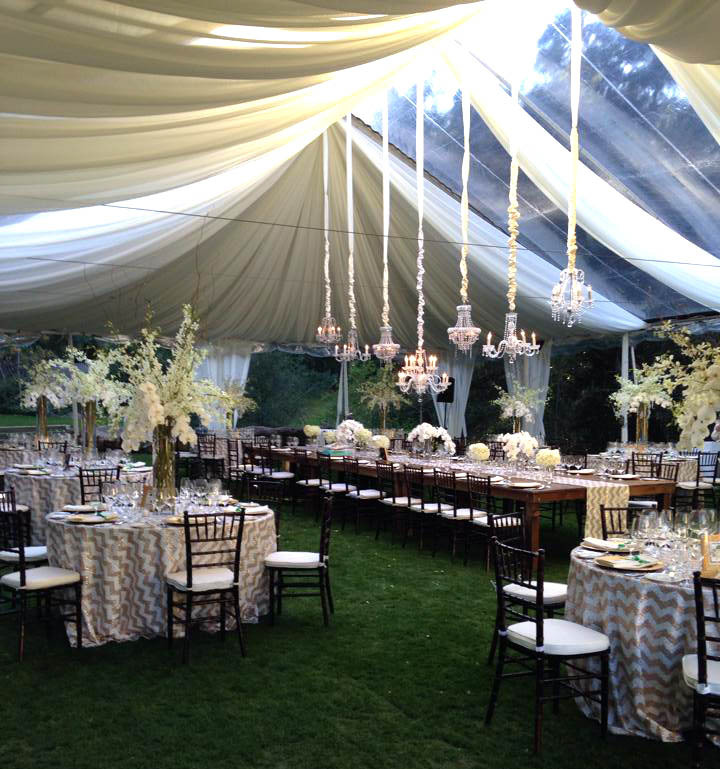 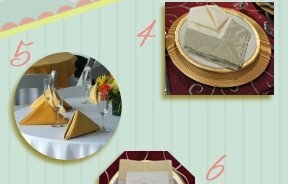 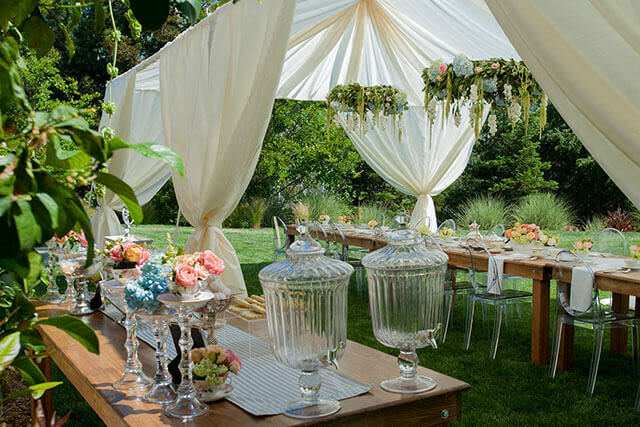 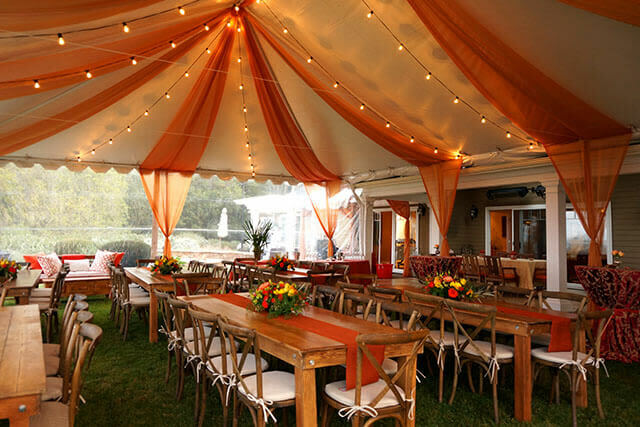 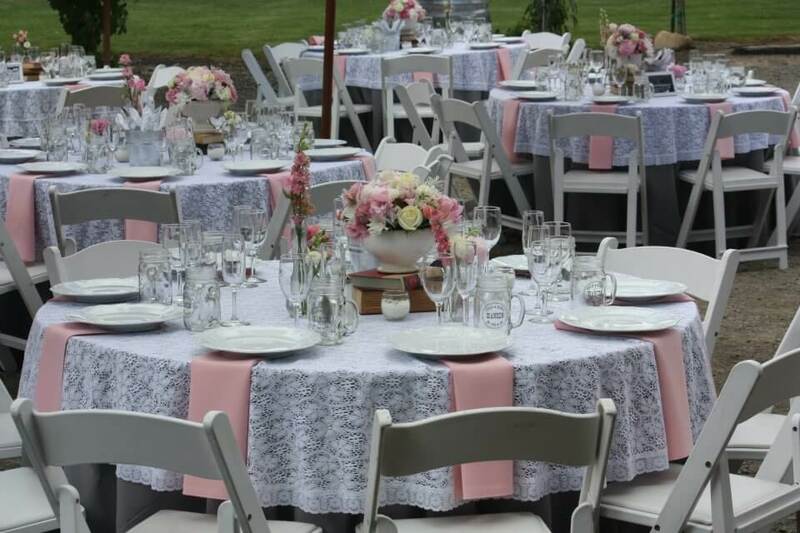 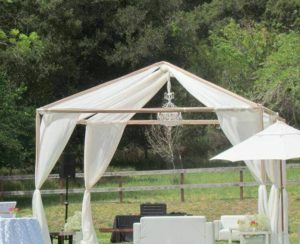 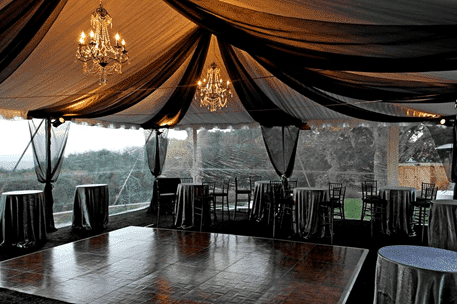 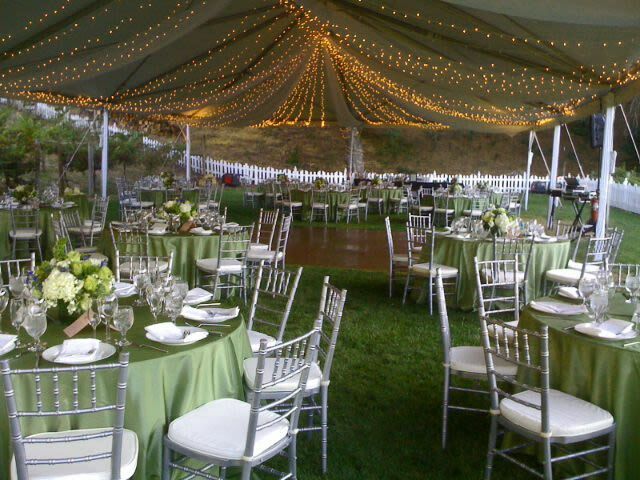 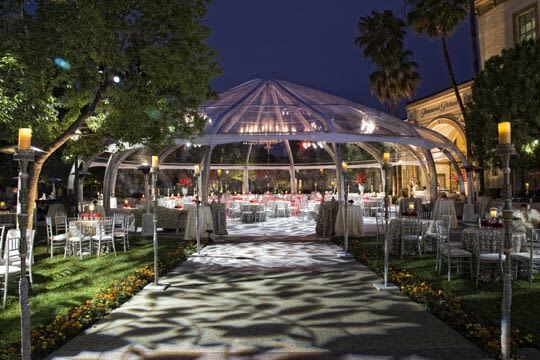 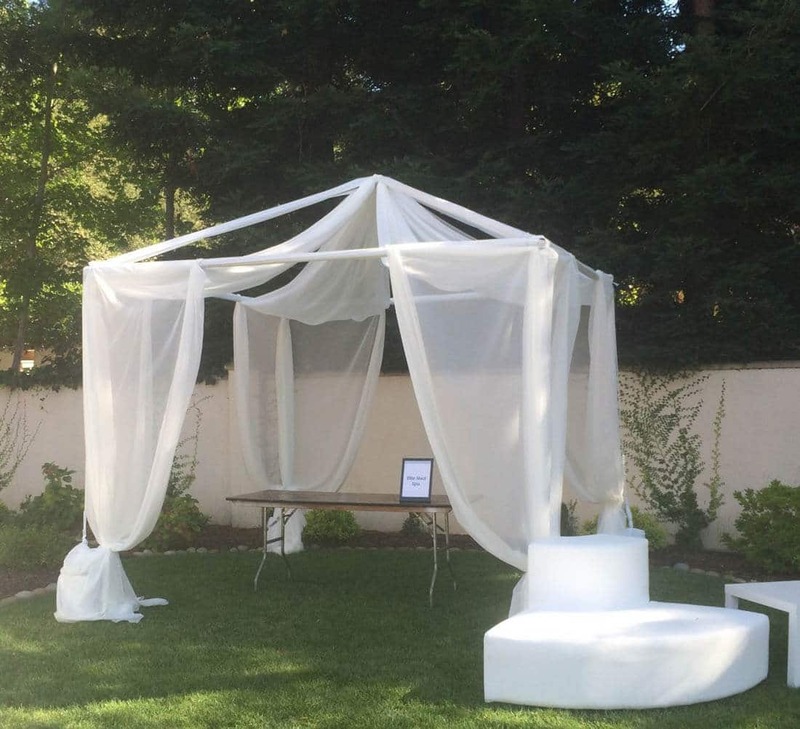 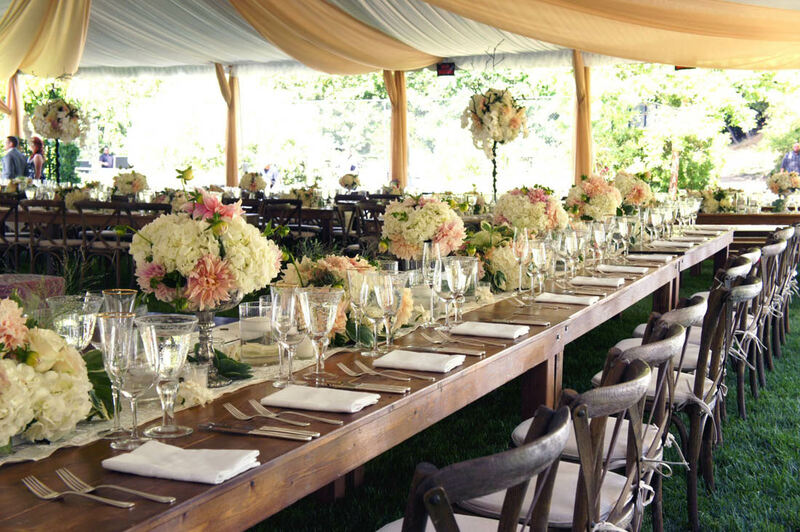 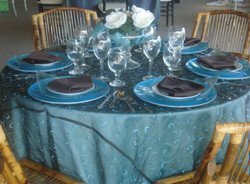 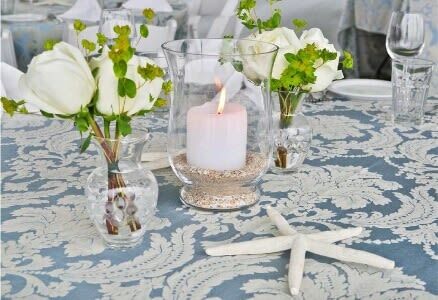 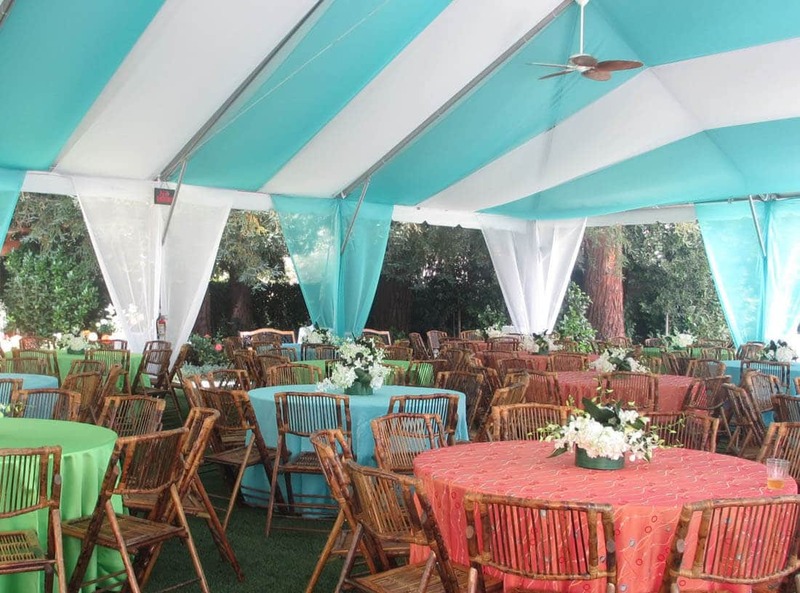 As seen in the photos below, the style of the fabric atop the tent can greatly affect the perception of the event ambiance. 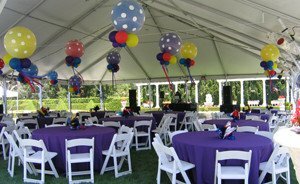 Tighter, more fitted swags create a sophisticated and structured tone, while breezier, billowing swags convey a more whimsical atmosphere. Custom Ceiling Treatments: There are a number of custom ceiling options that can uniquely enhance the look of your tent. 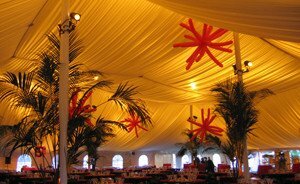 For example, the below ceiling treatment was constructed from velon to create a pleated slope that ends with a flat ceiling. 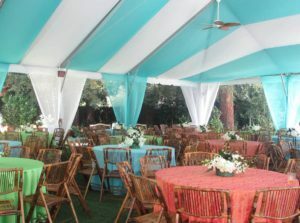 Another custom ceiling style uses strips of colored fabric installed along the contour of the tent ceiling, creating a multicolored and smooth canopy top. 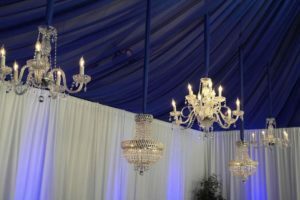 These styles are just a few examples of how you can best outfit and embellish your ceiling. 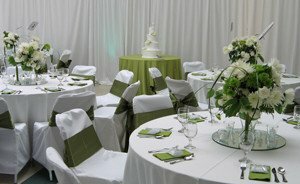 There are so many more! 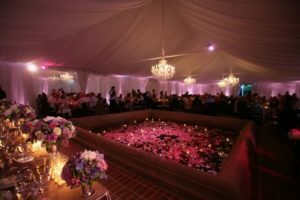 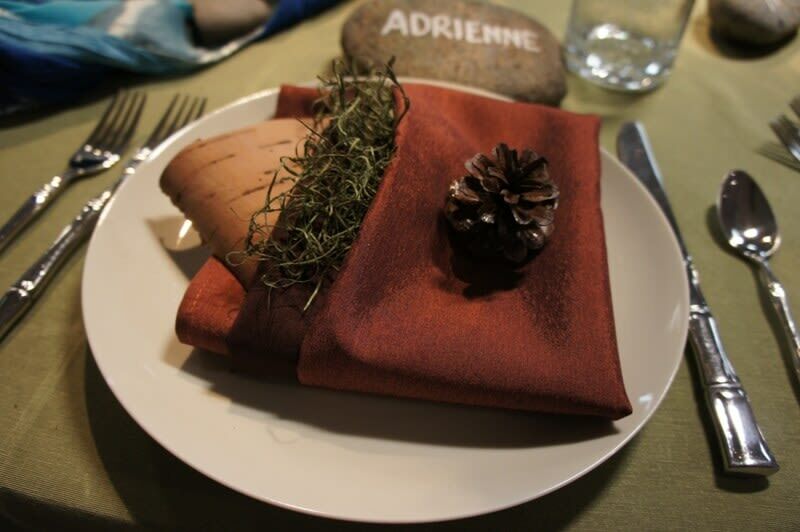 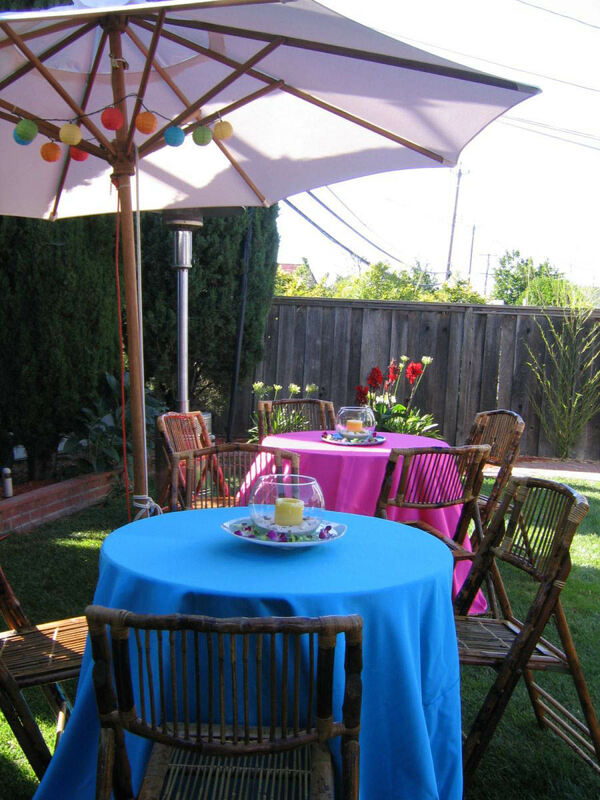 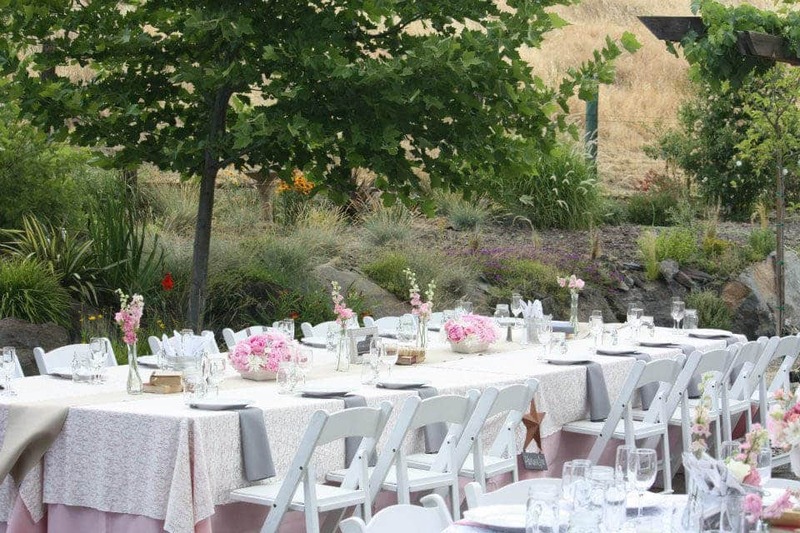 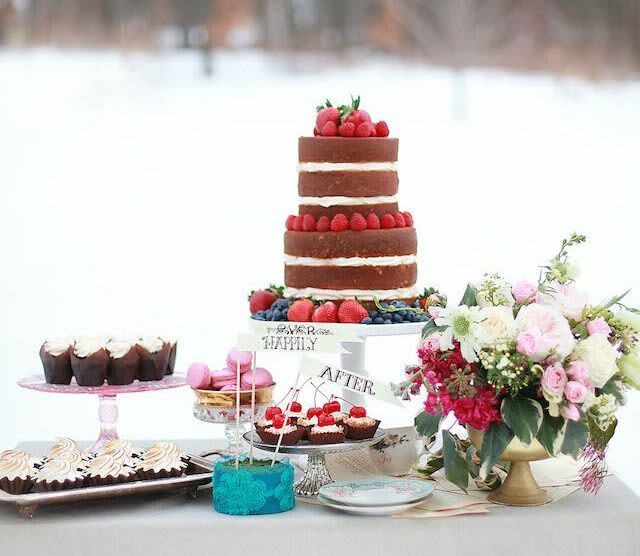 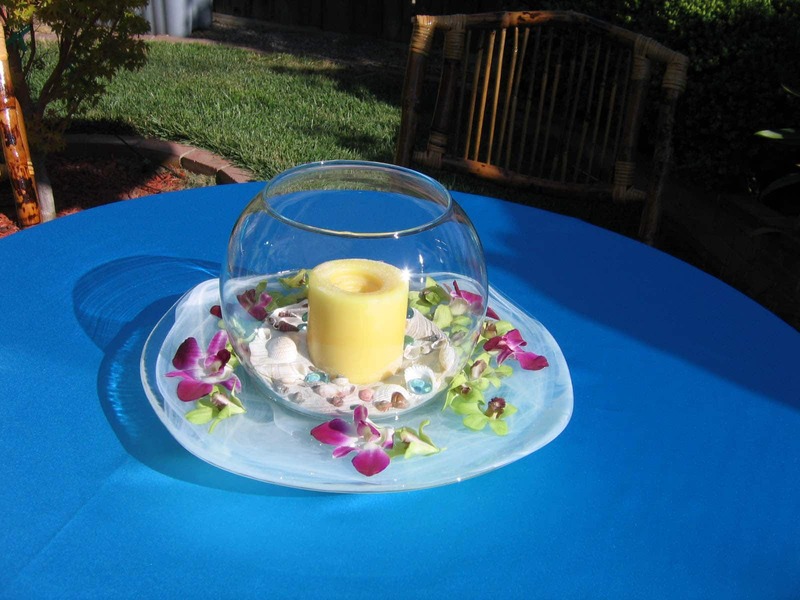 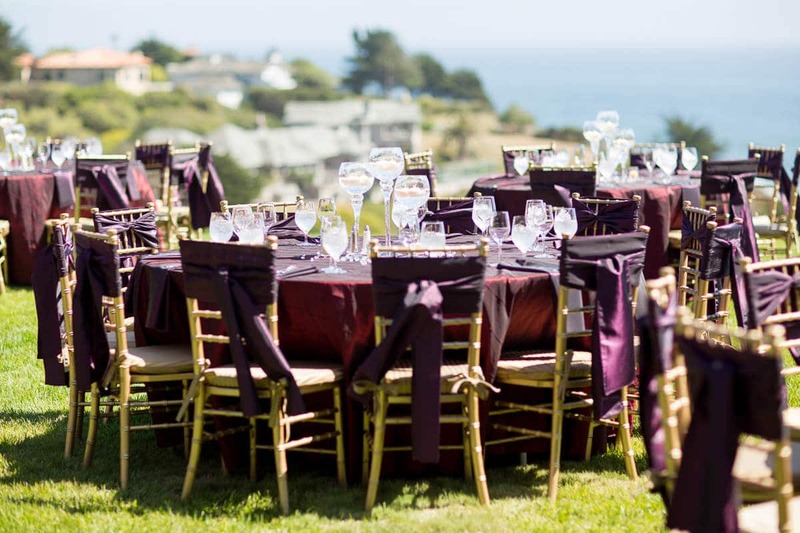 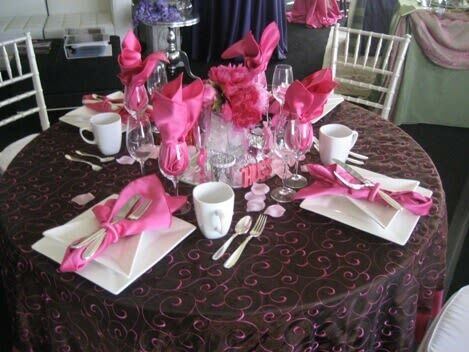 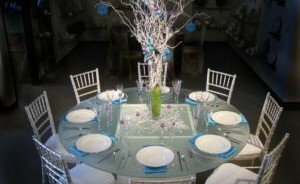 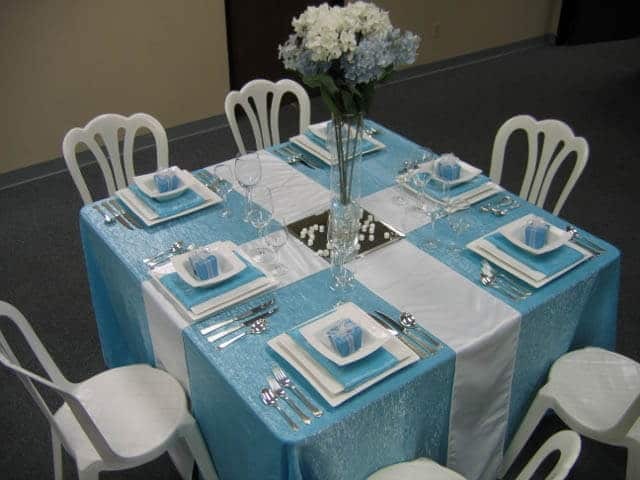 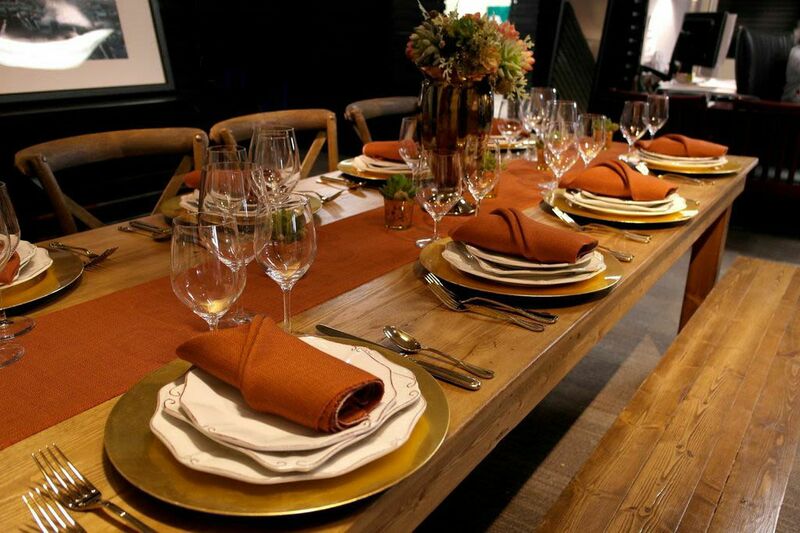 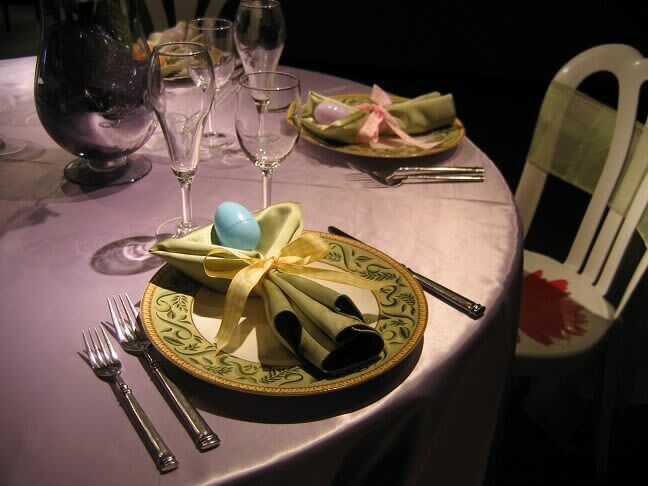 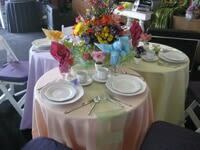 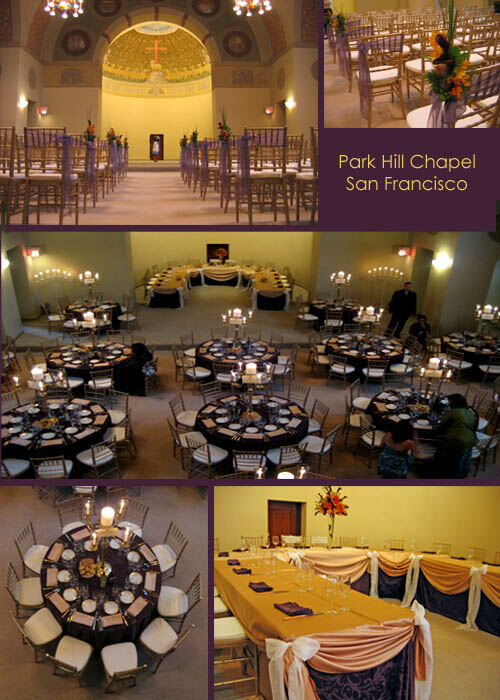 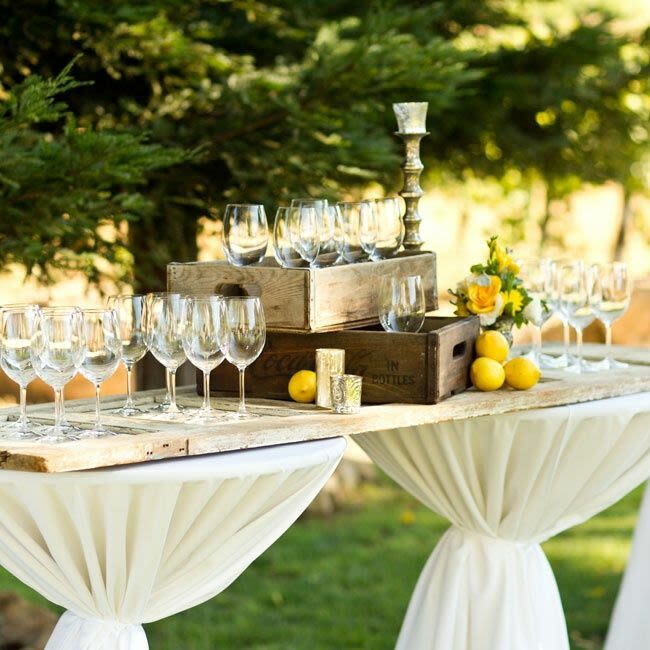 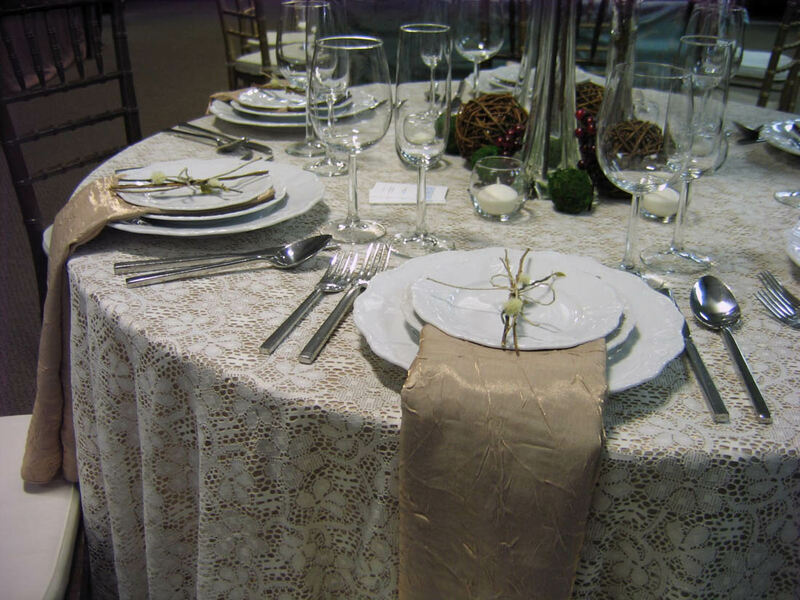 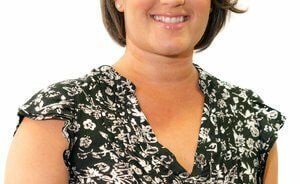 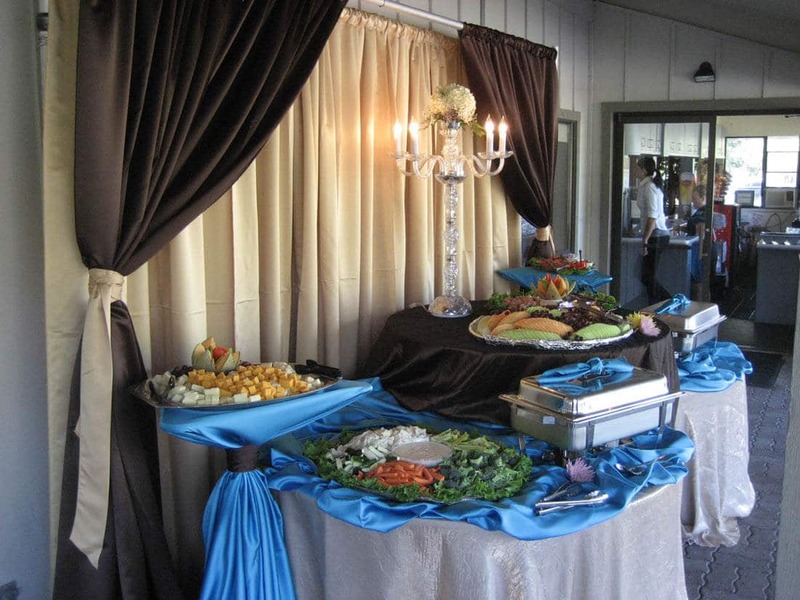 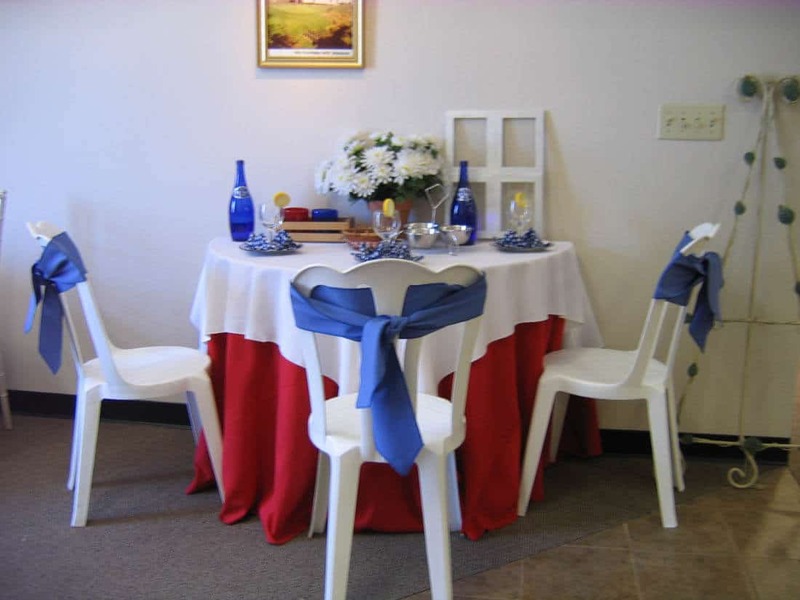 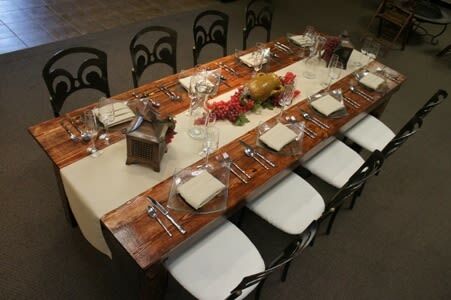 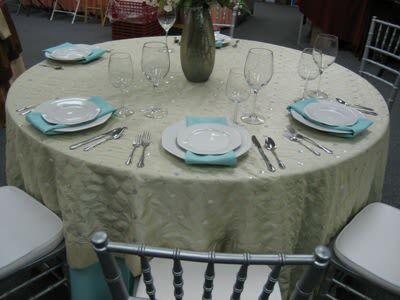 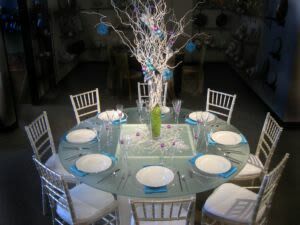 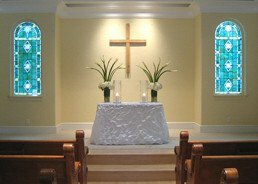 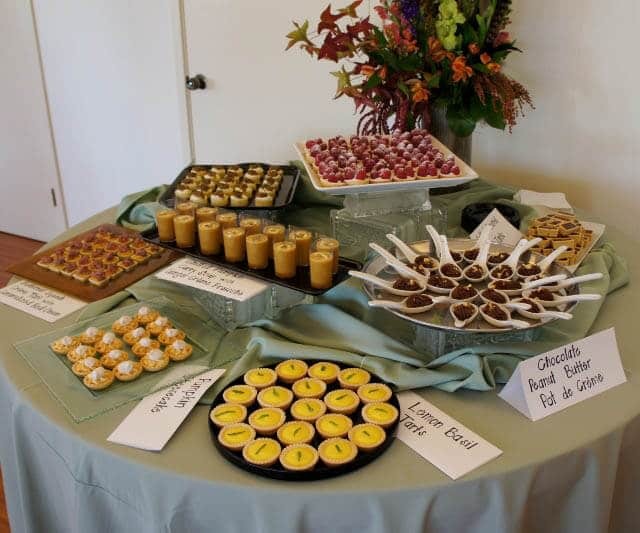 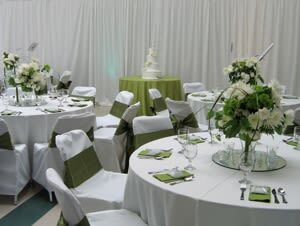 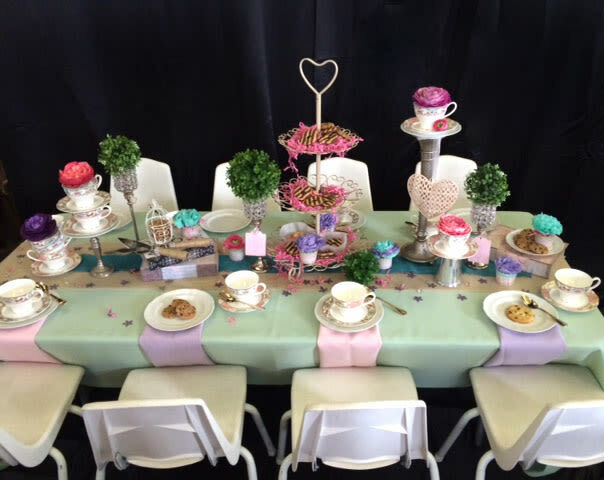 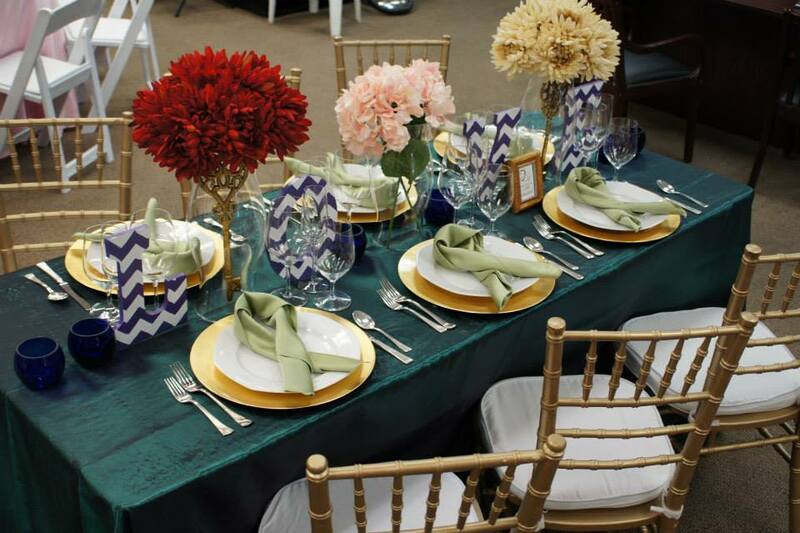 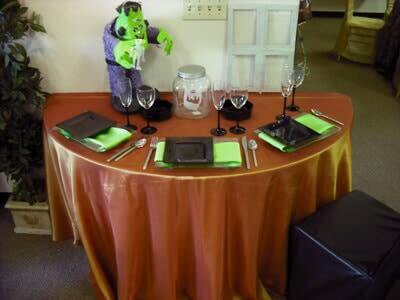 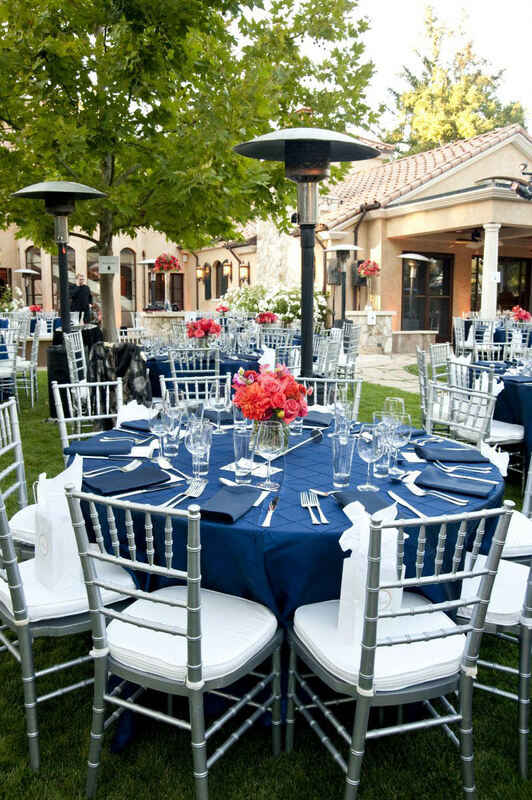 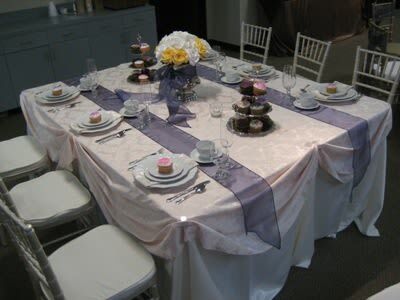 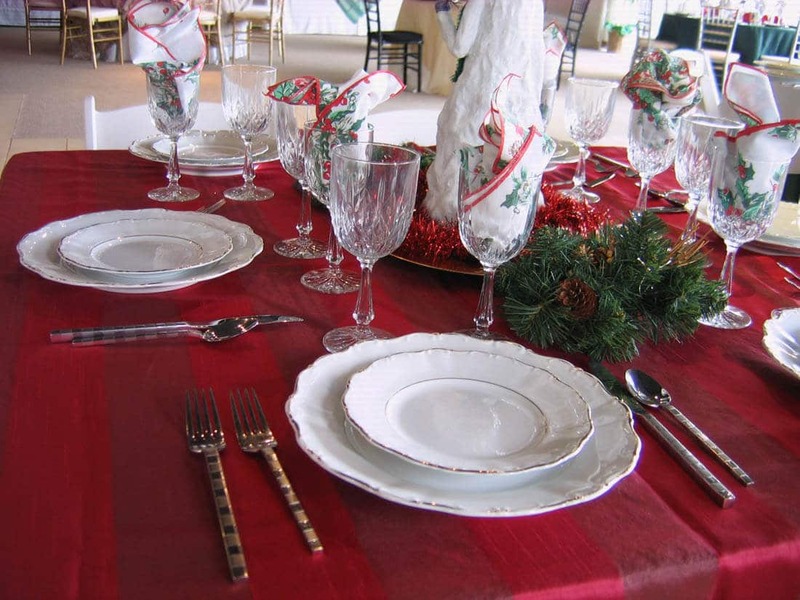 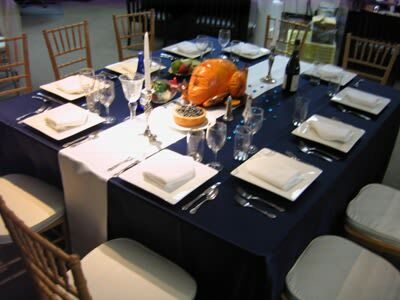 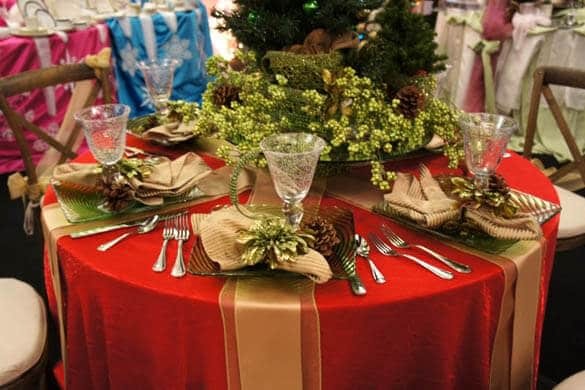 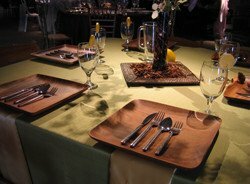 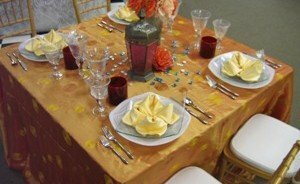 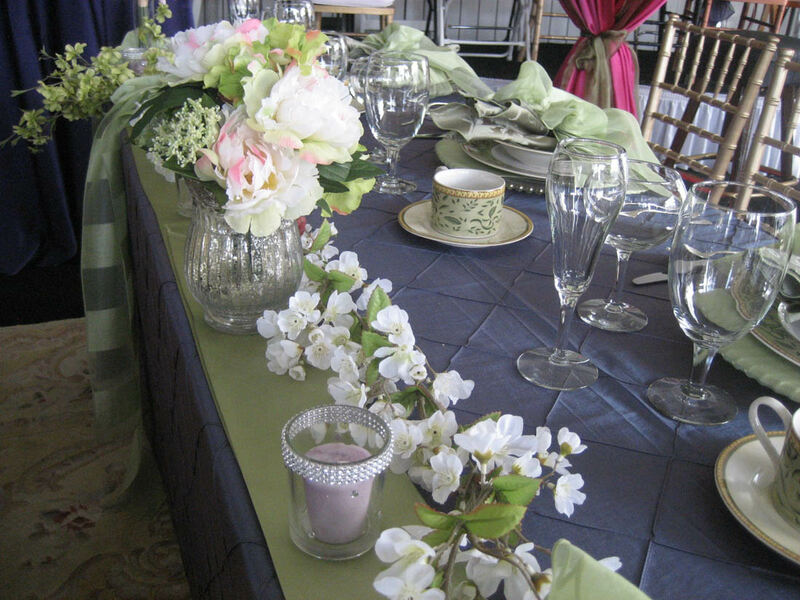 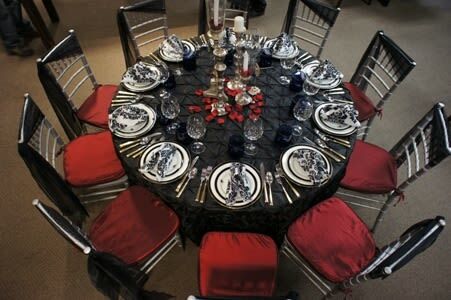 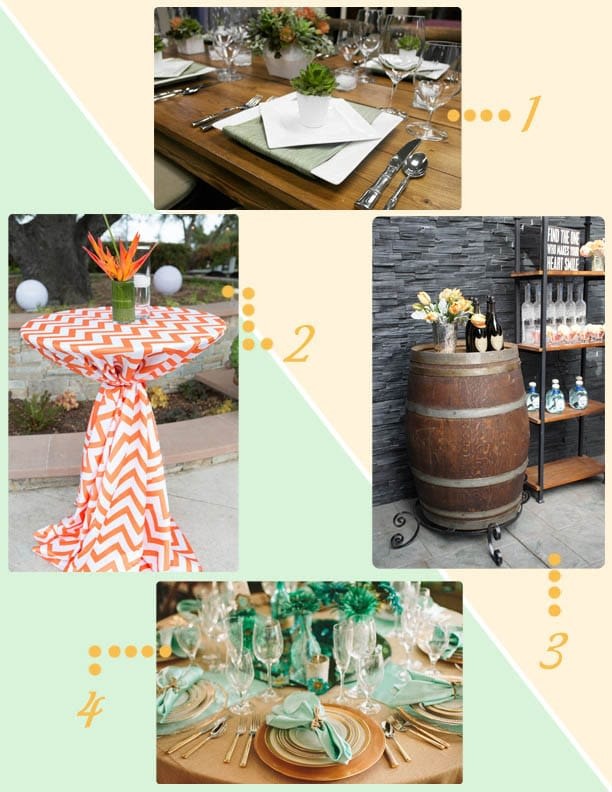 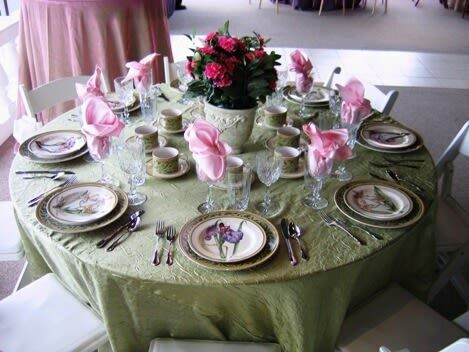 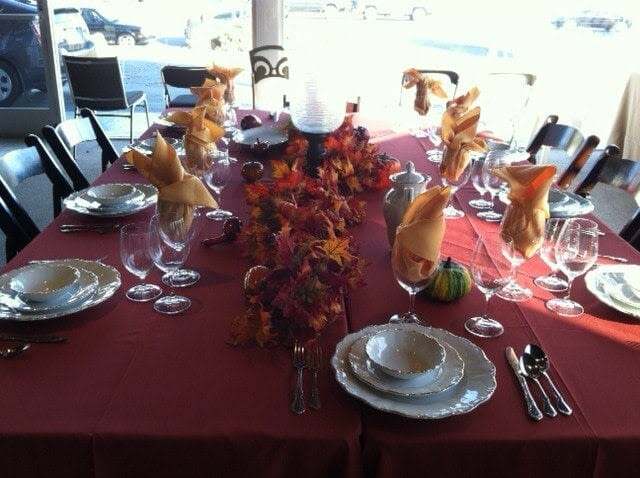 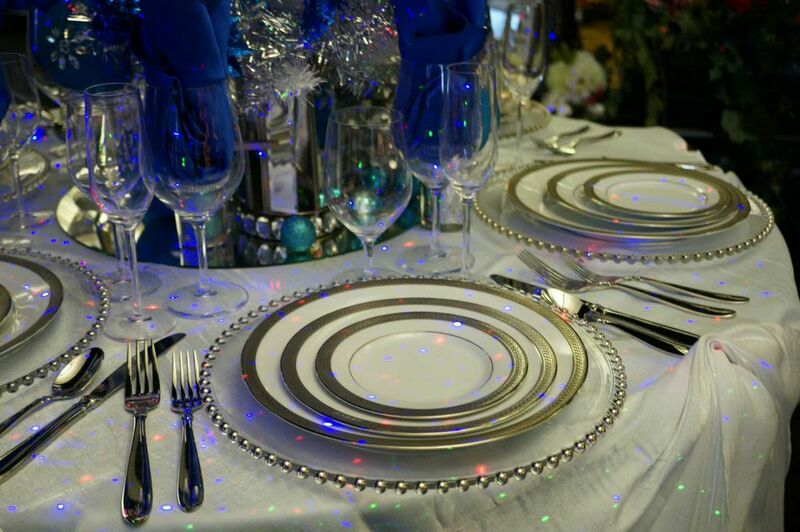 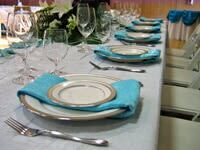 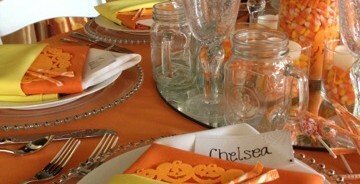 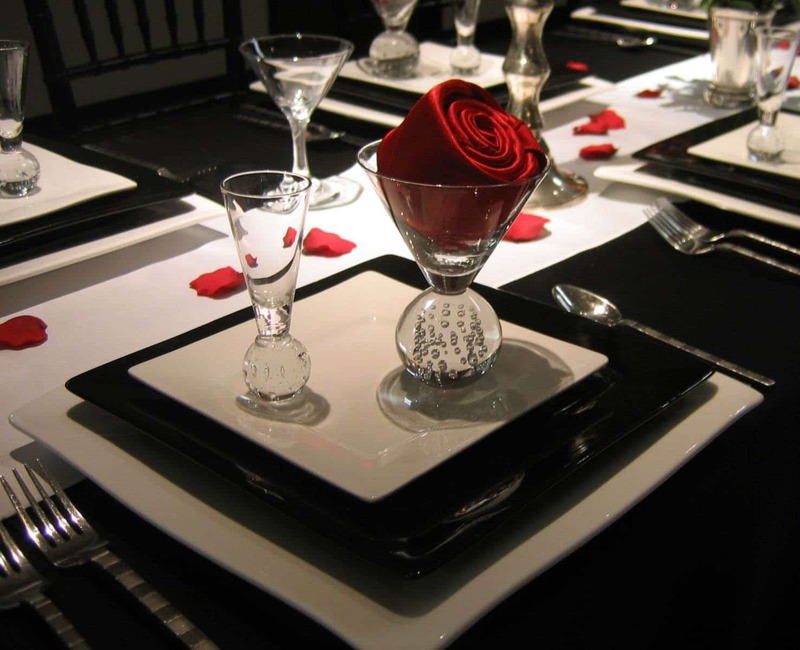 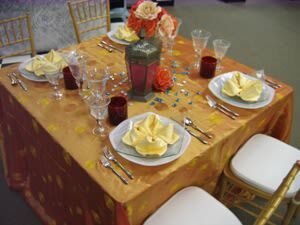 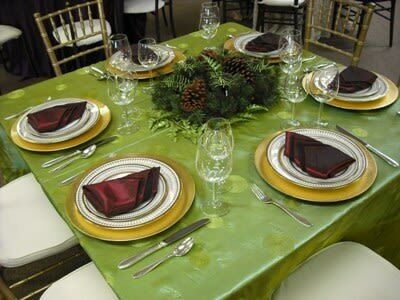 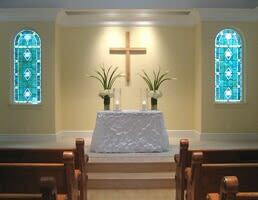 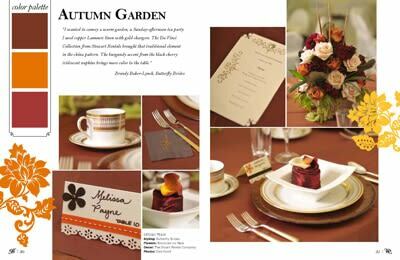 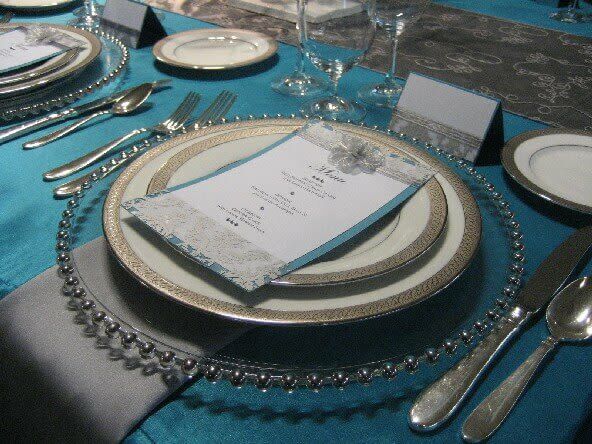 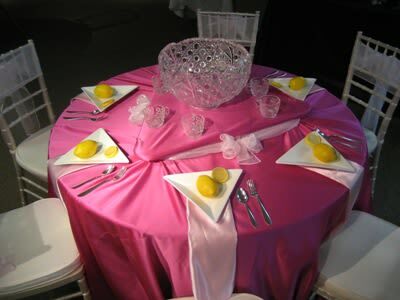 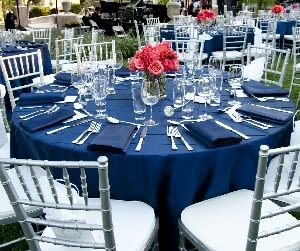 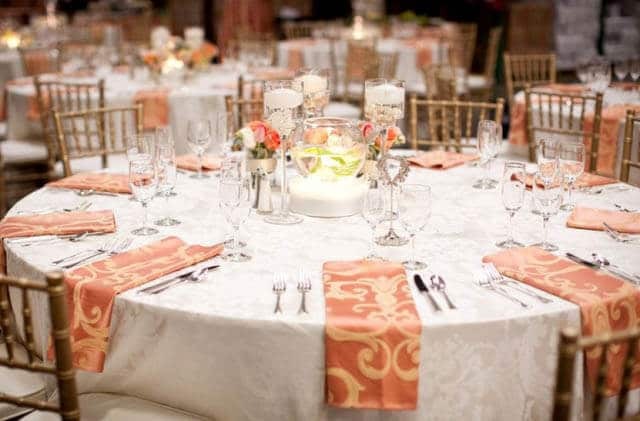 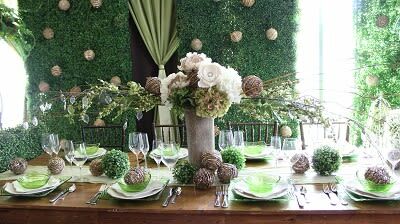 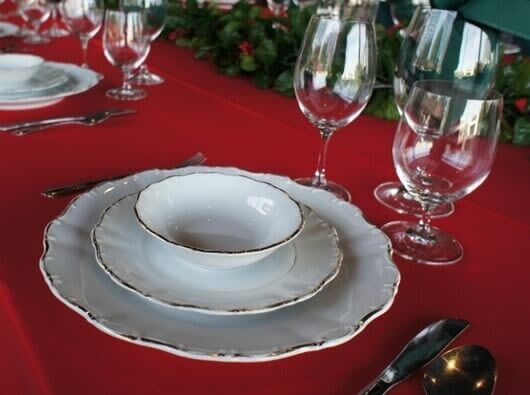 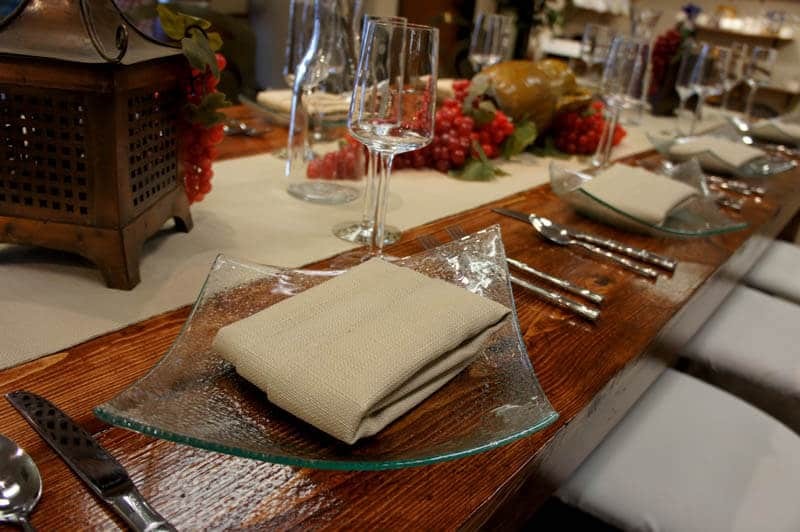 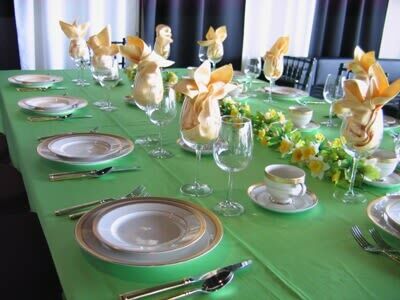 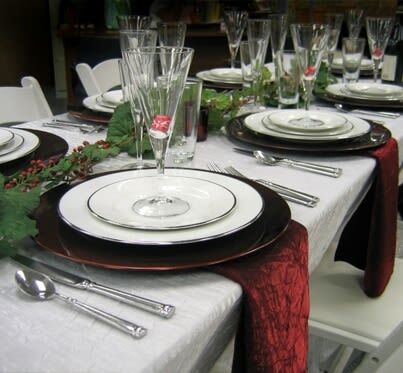 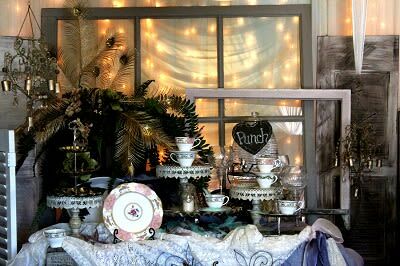 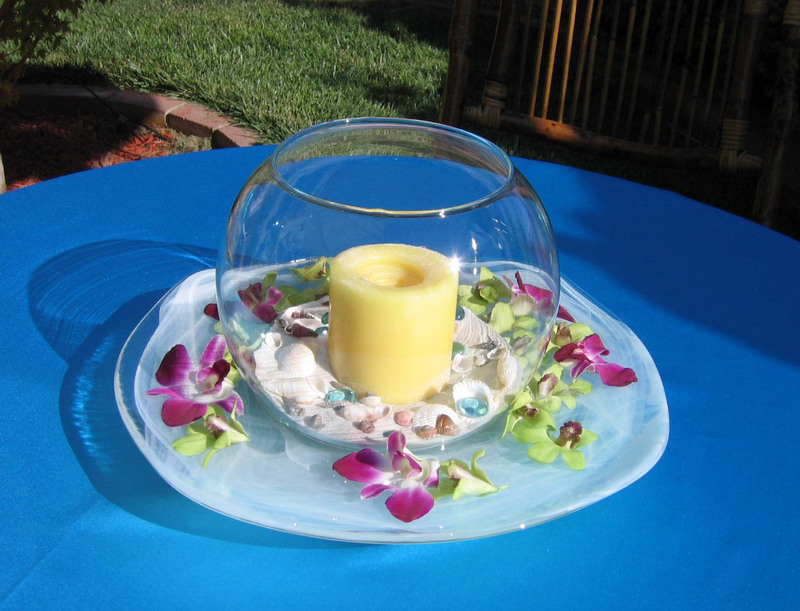 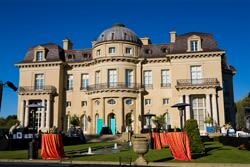 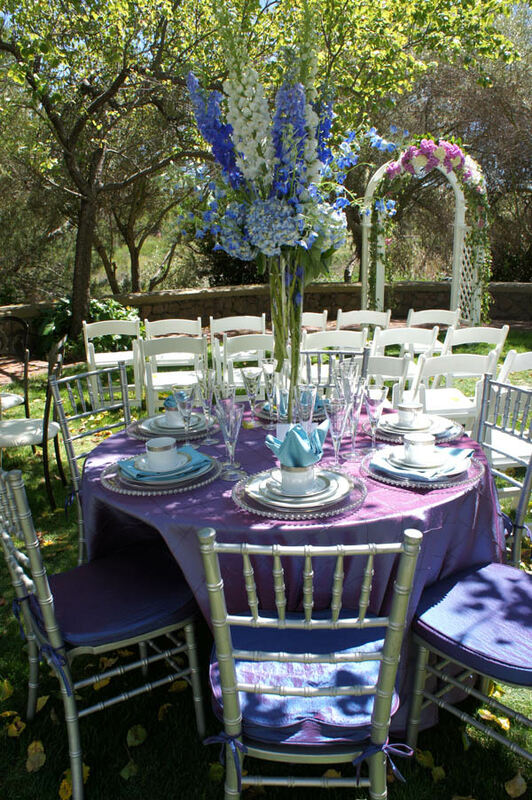 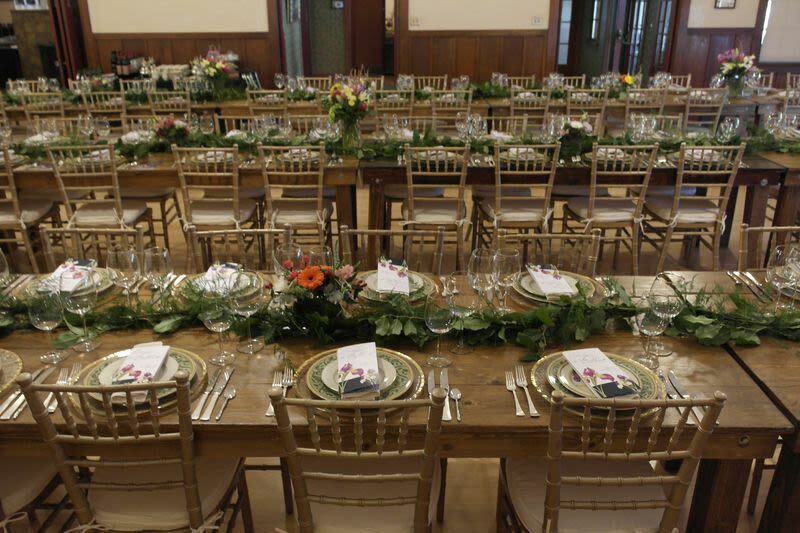 Consulting an Event Specialist can help you determine and plan the vision desired for your event.